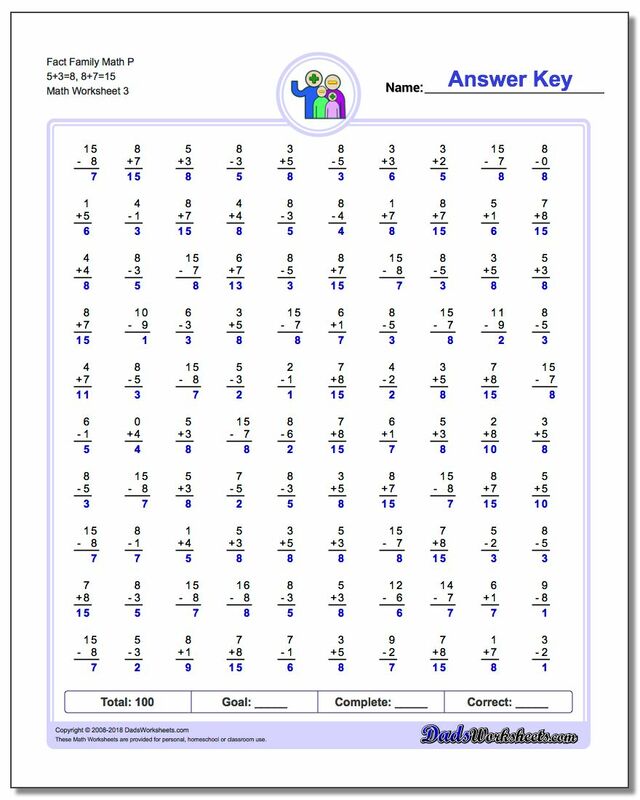 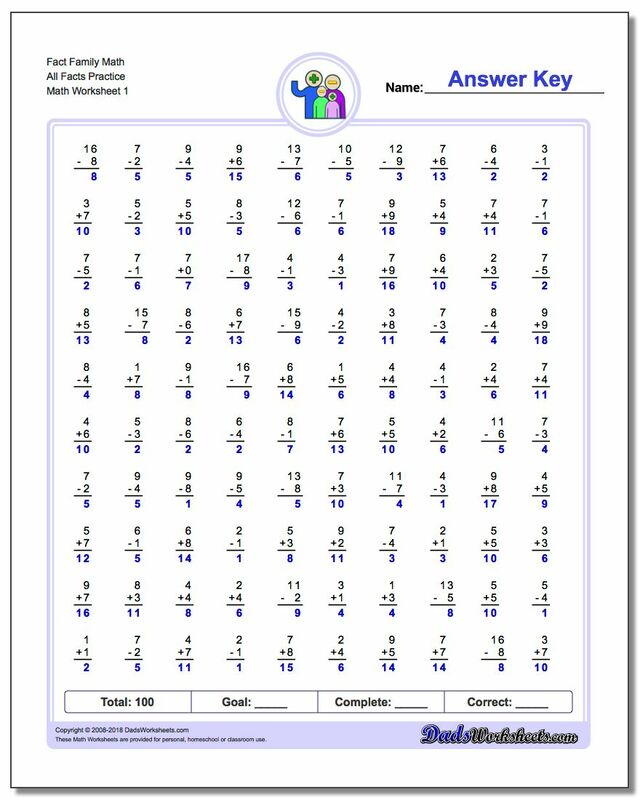 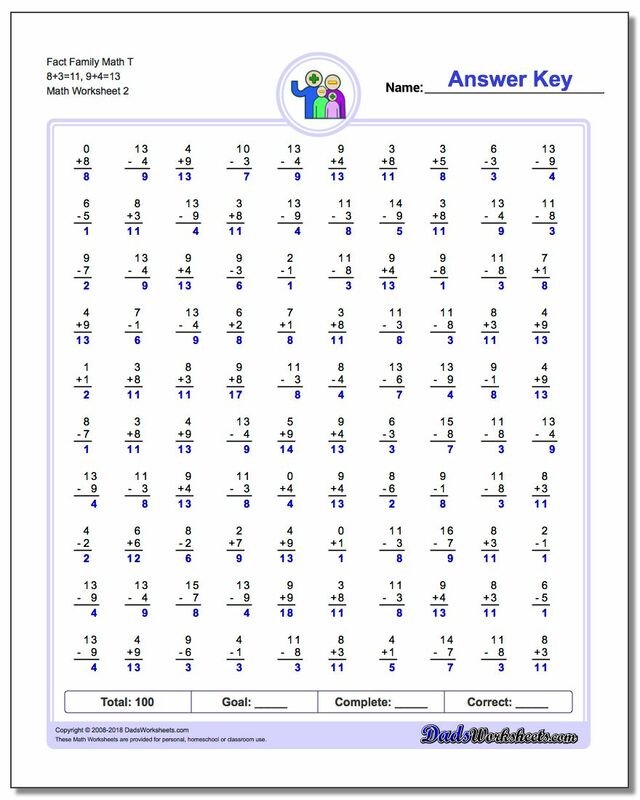 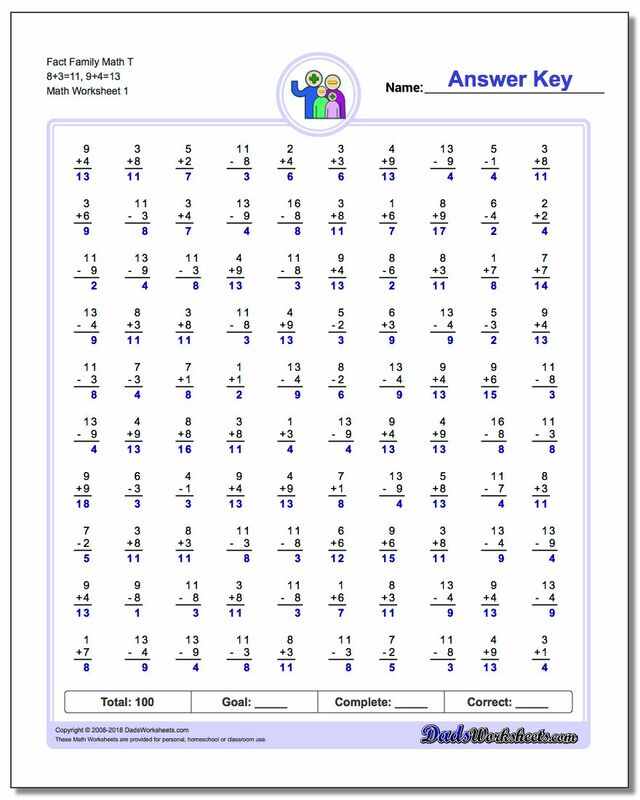 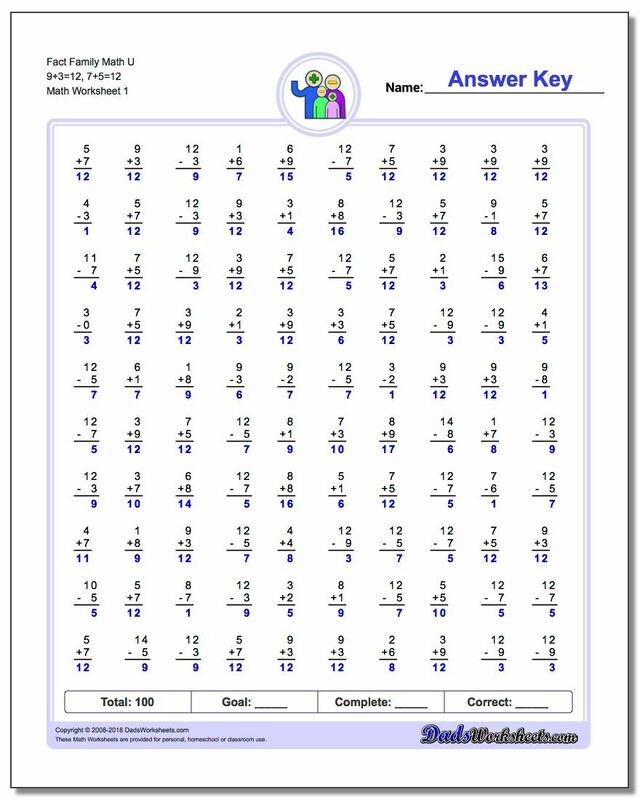 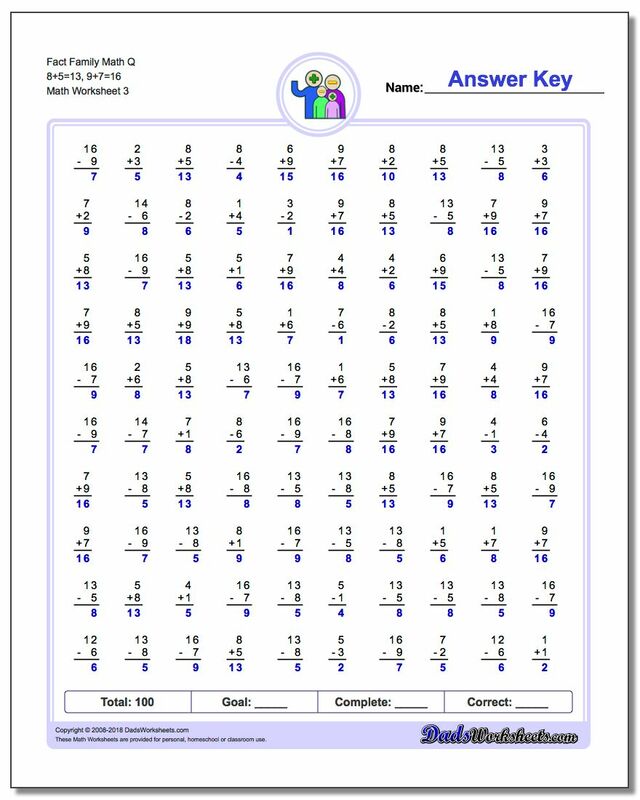 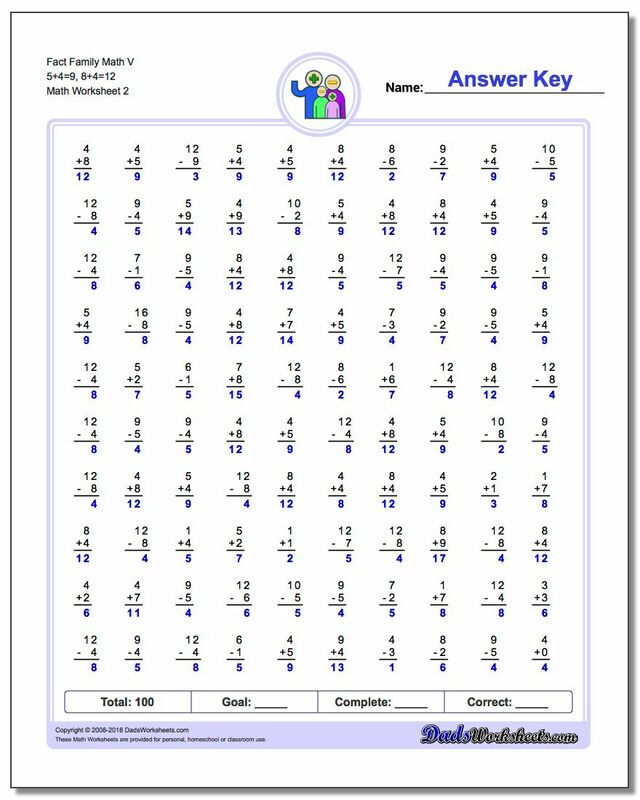 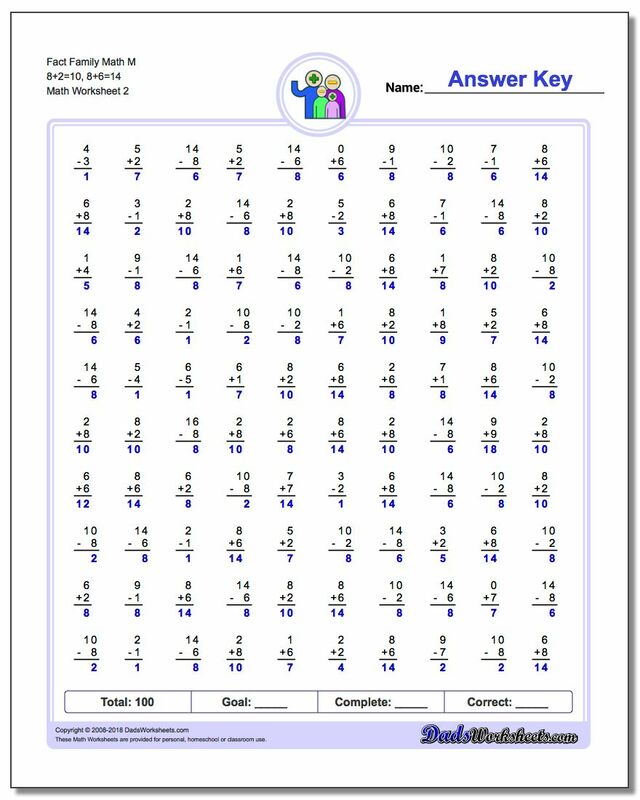 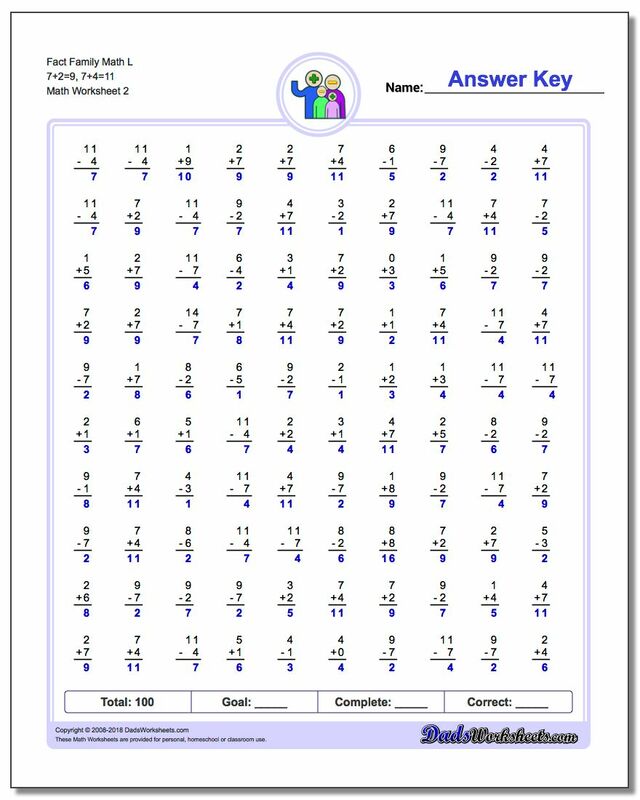 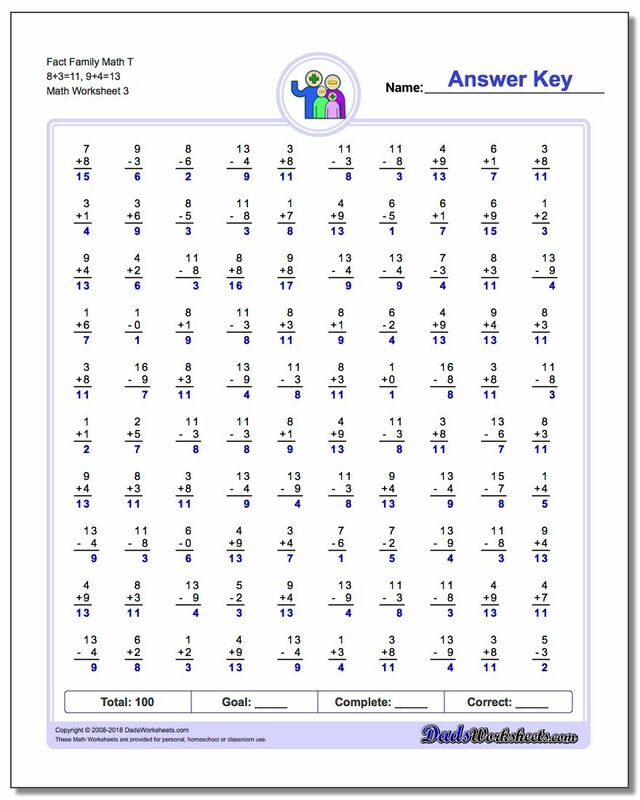 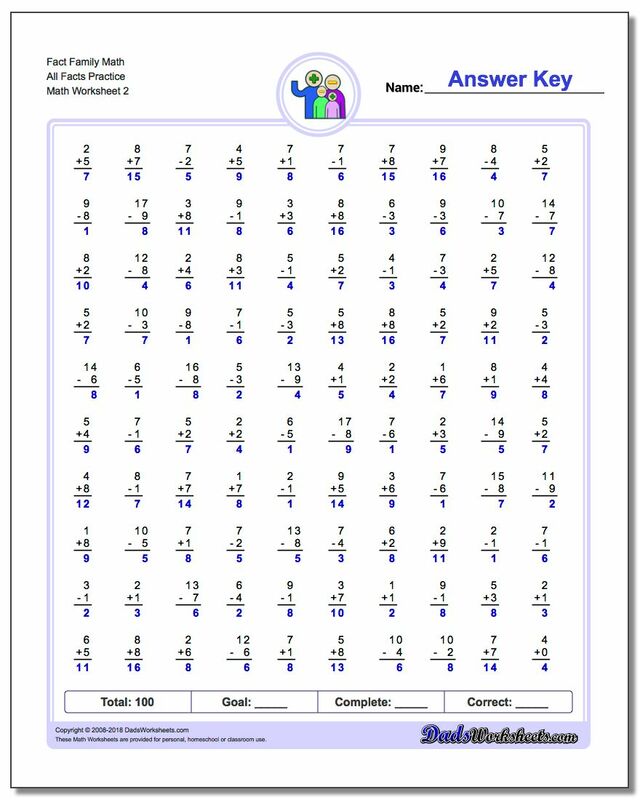 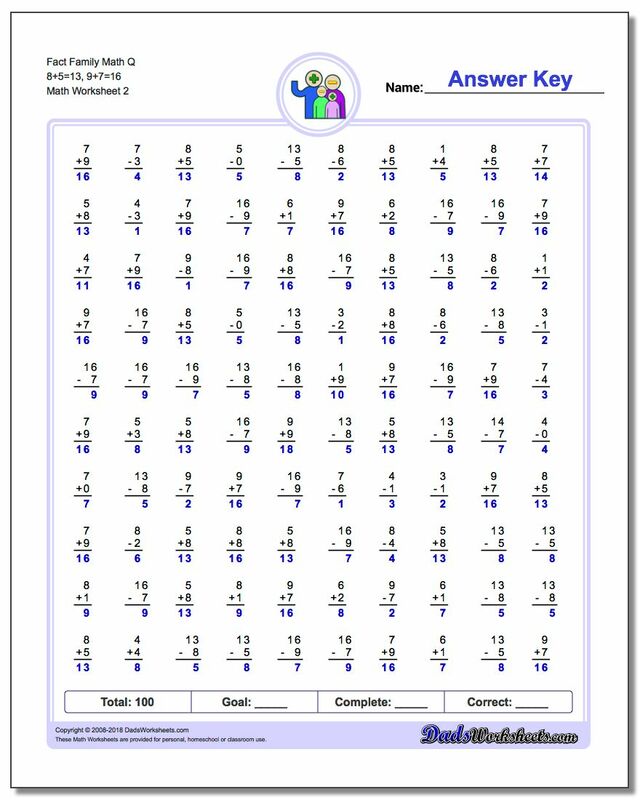 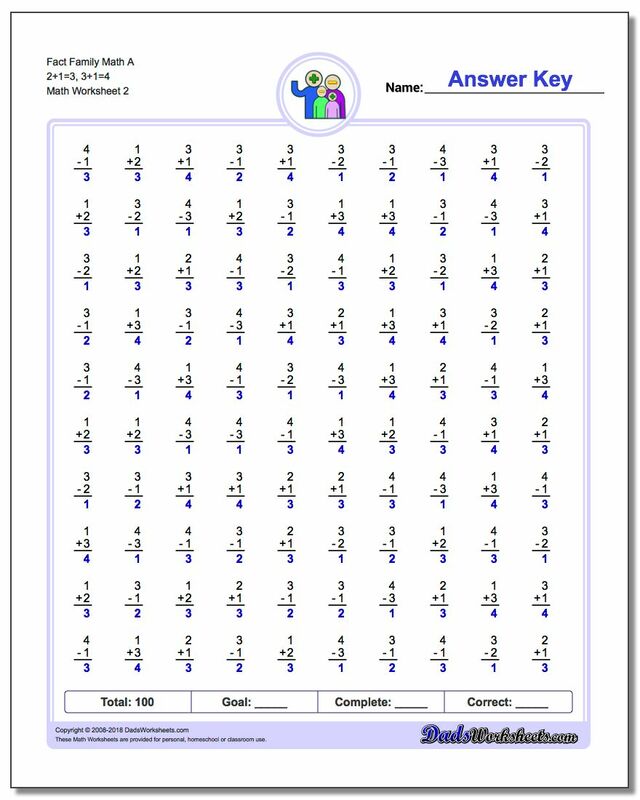 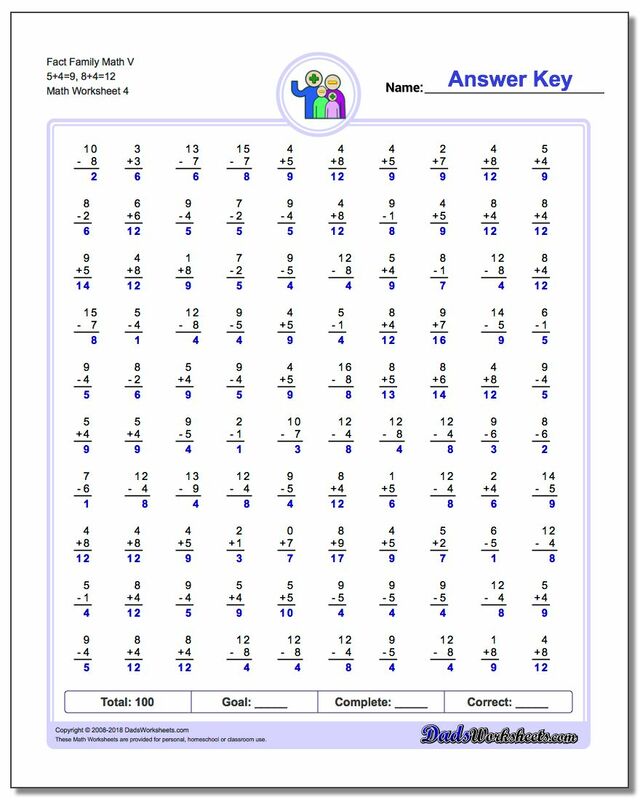 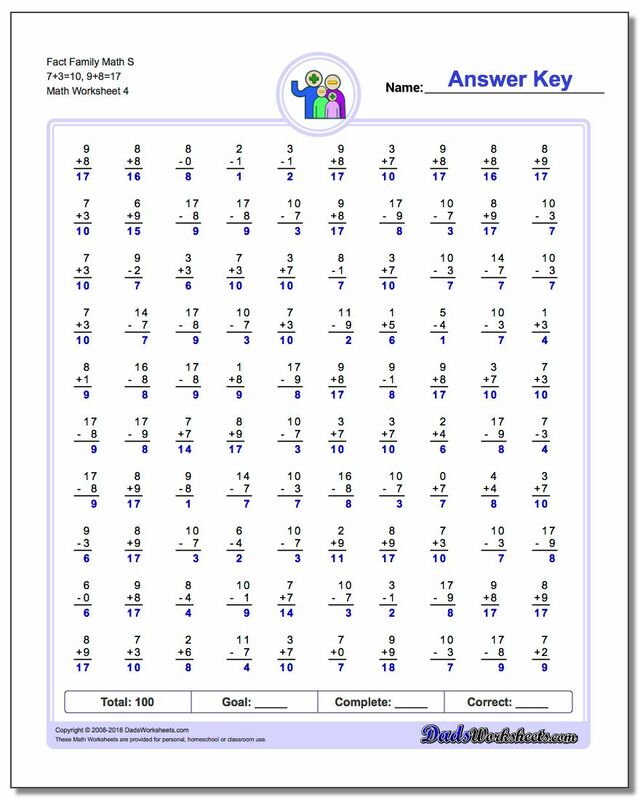 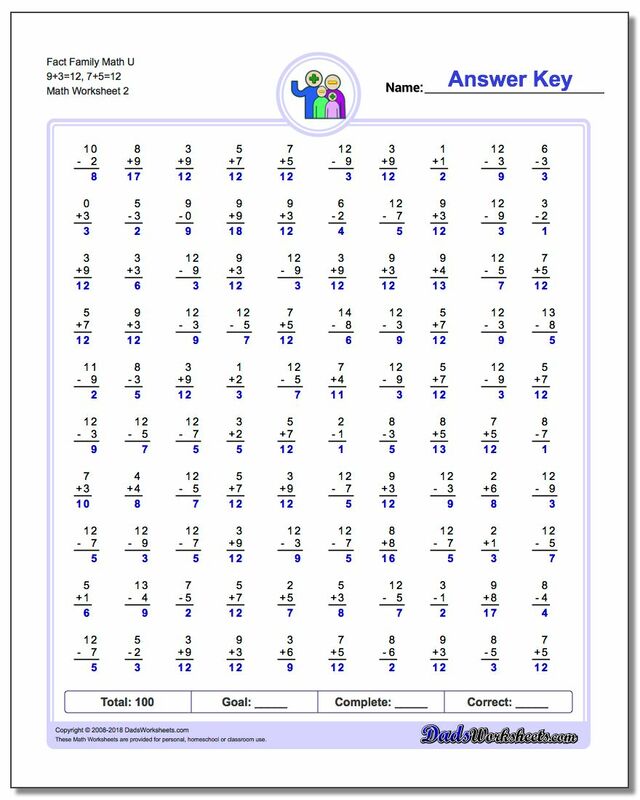 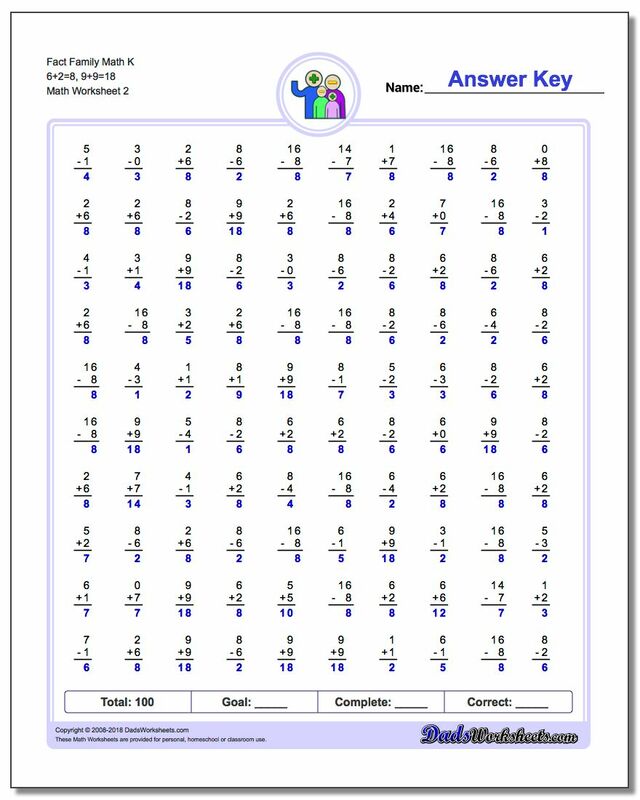 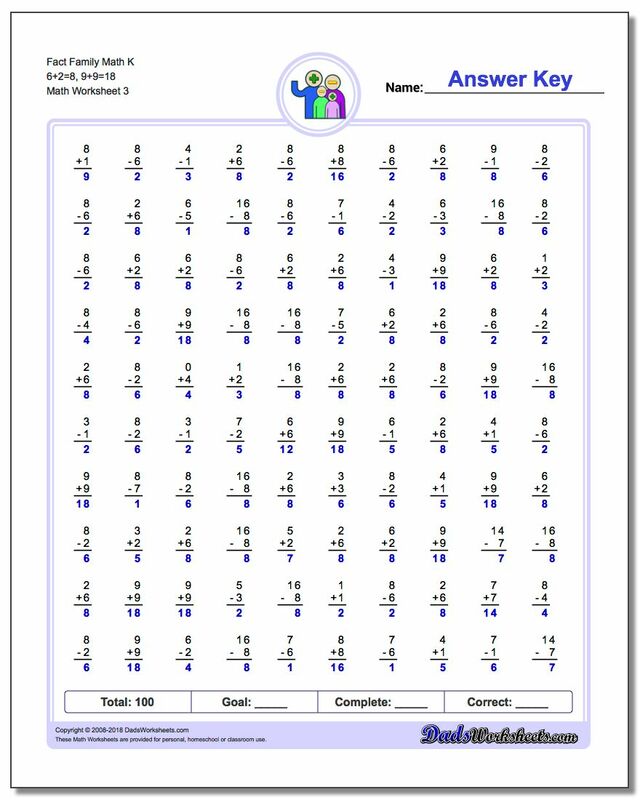 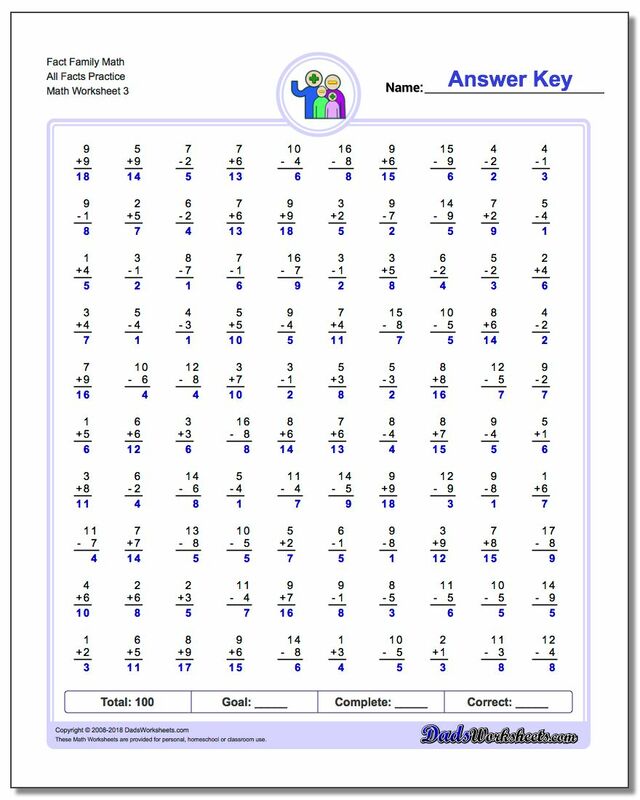 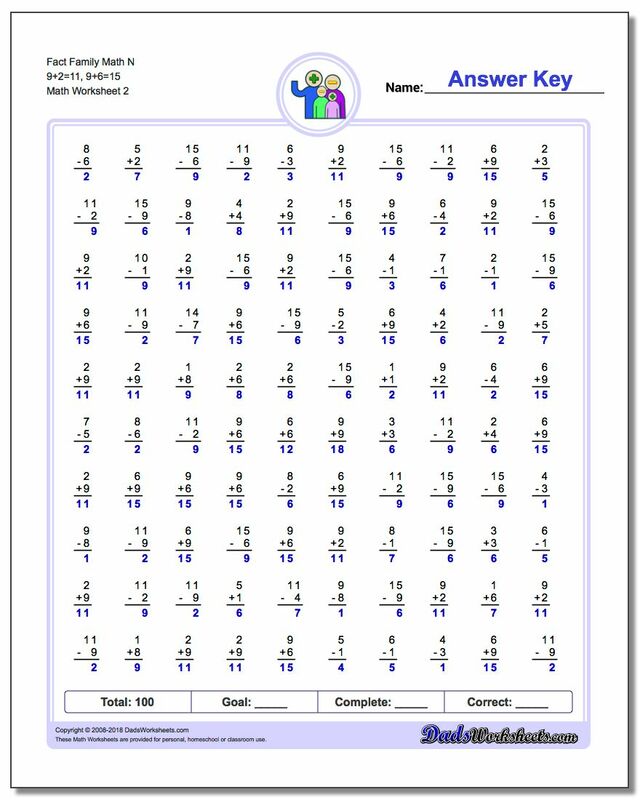 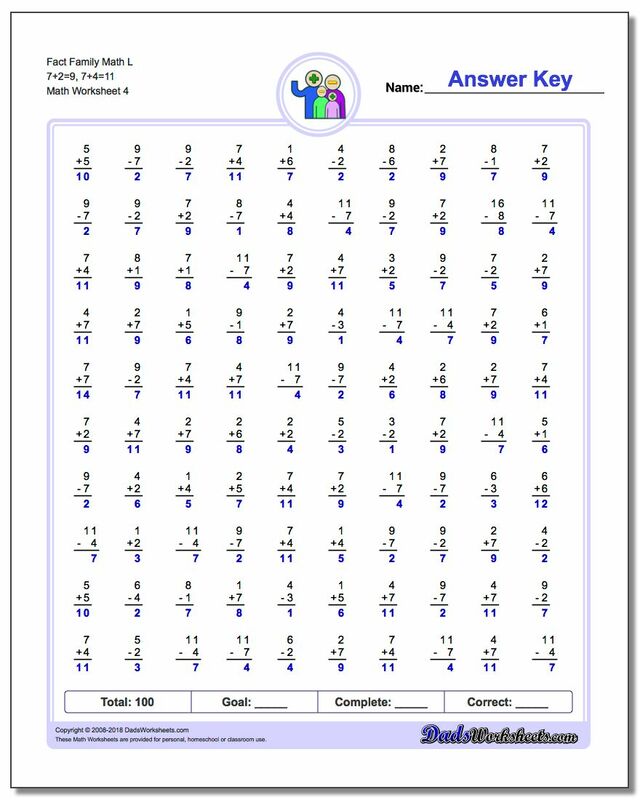 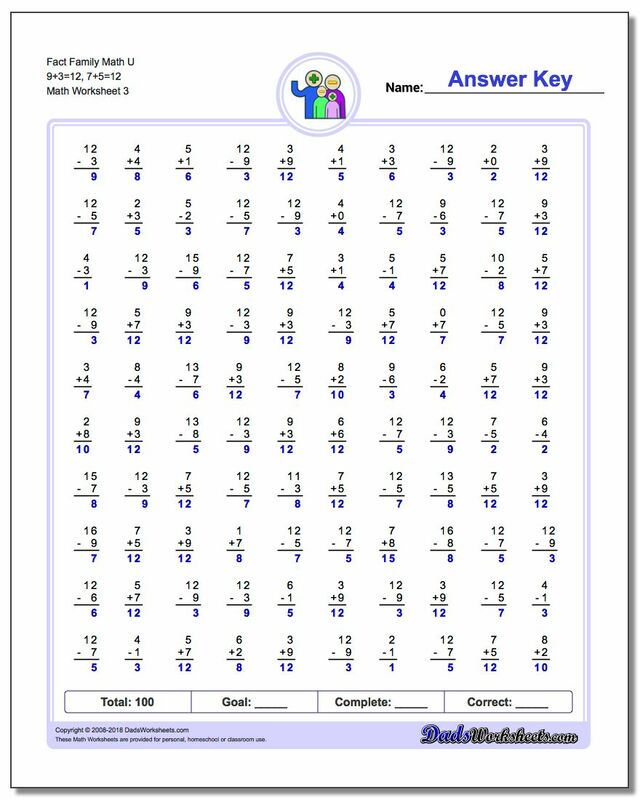 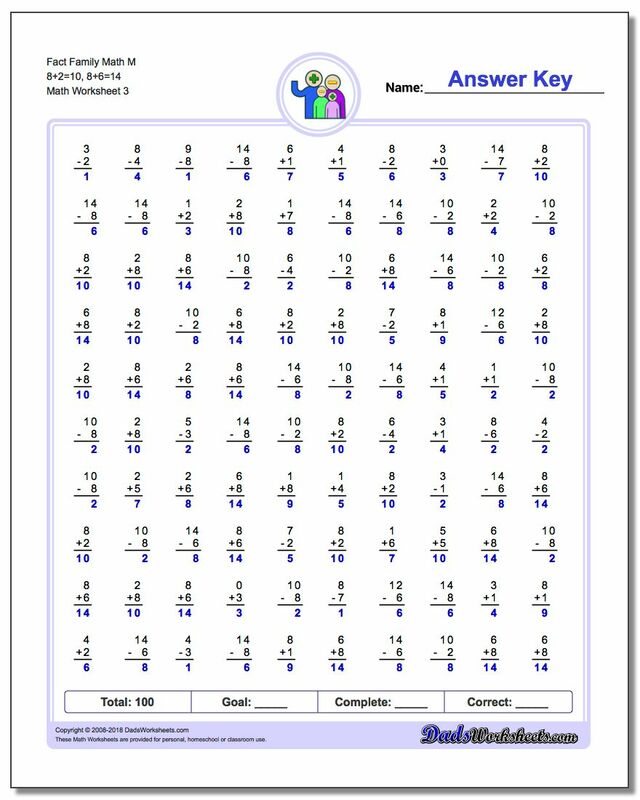 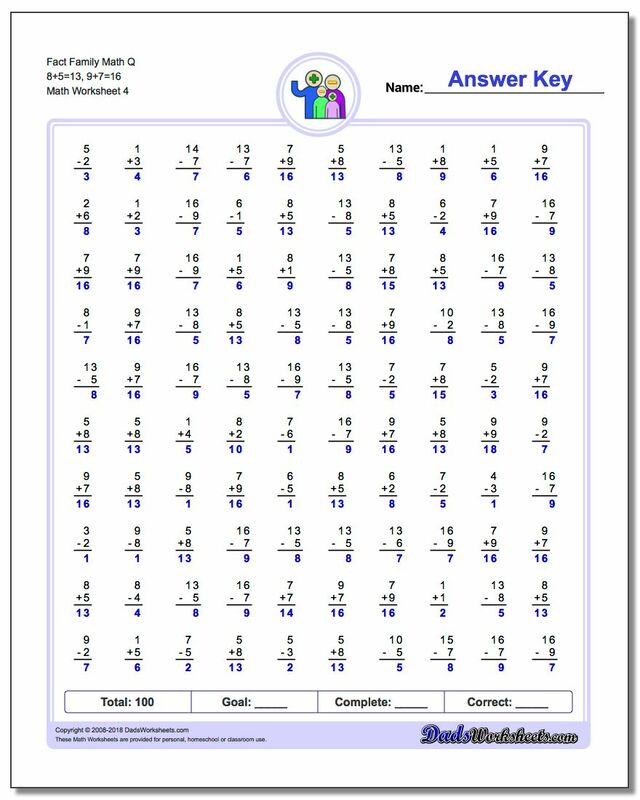 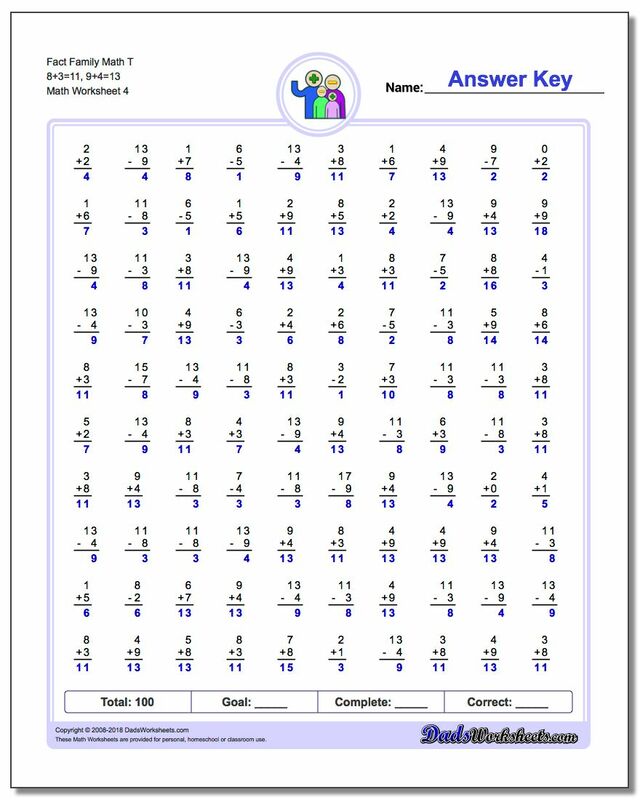 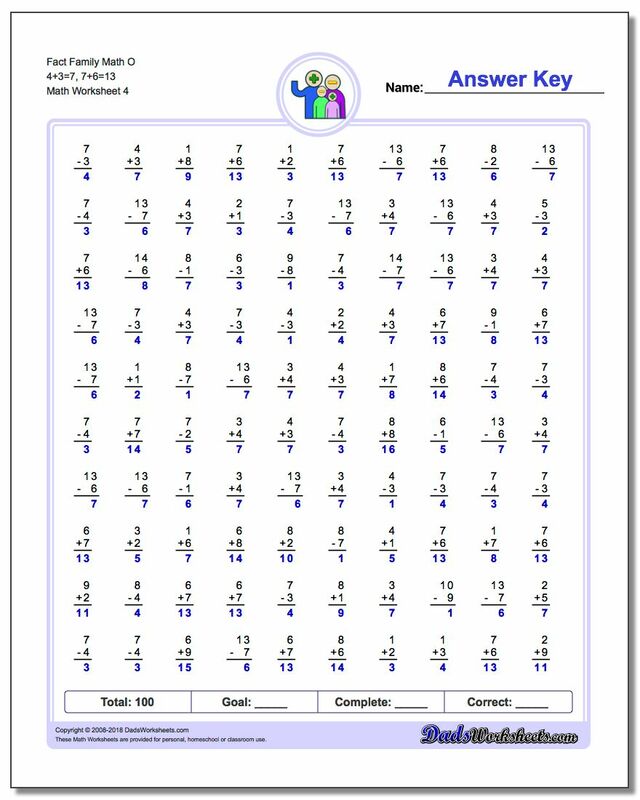 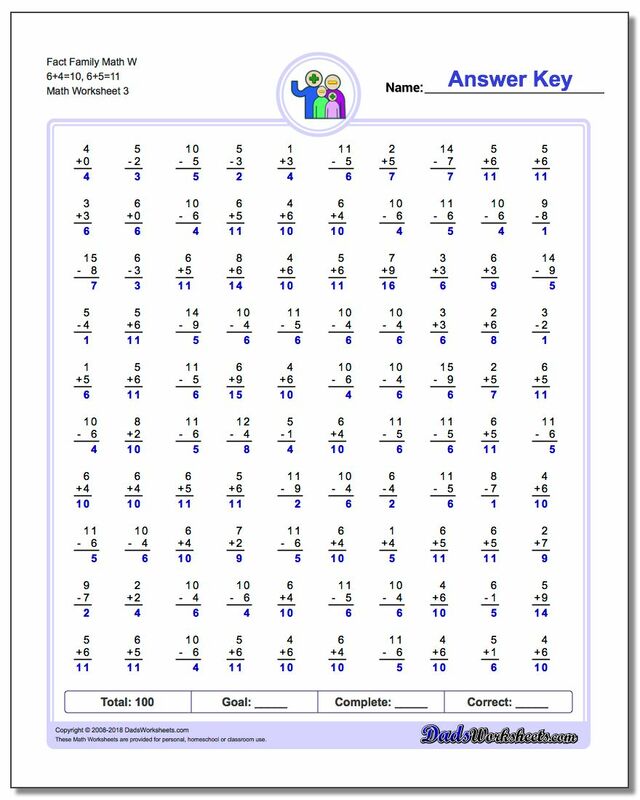 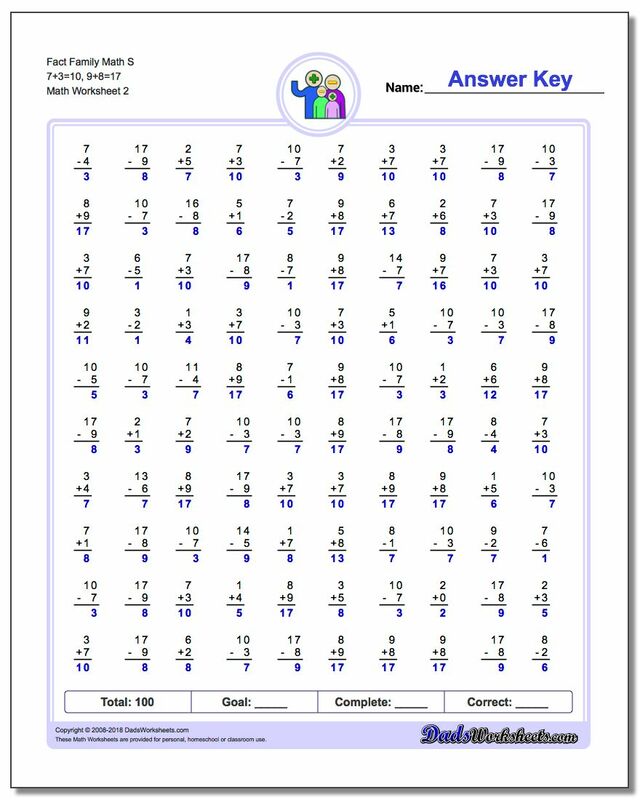 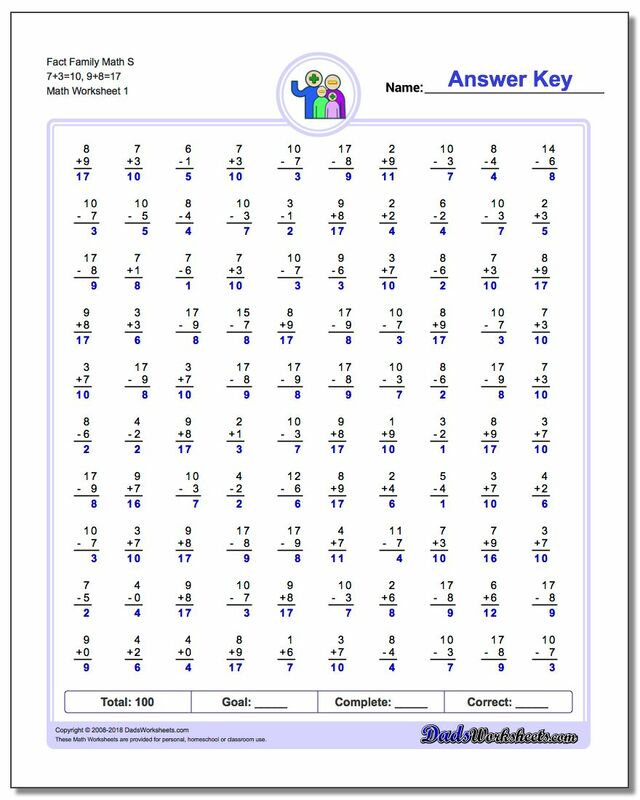 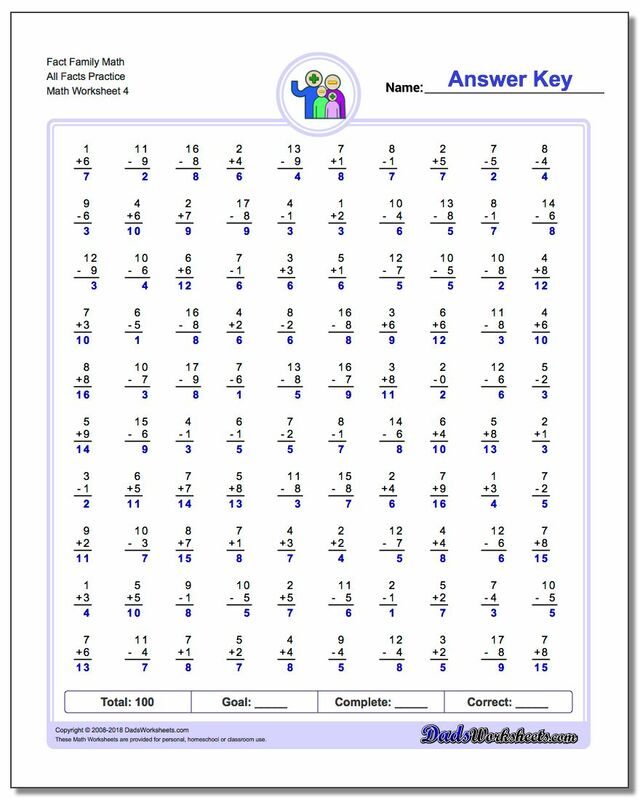 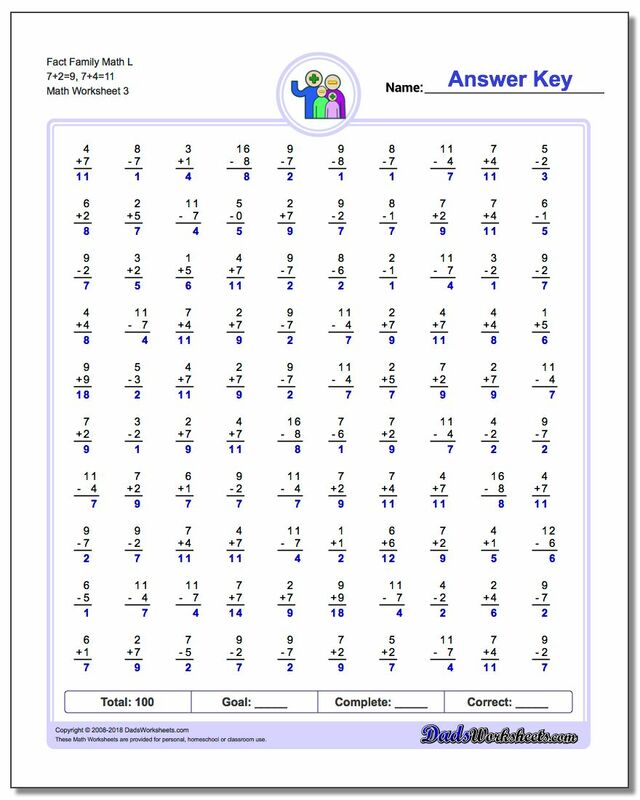 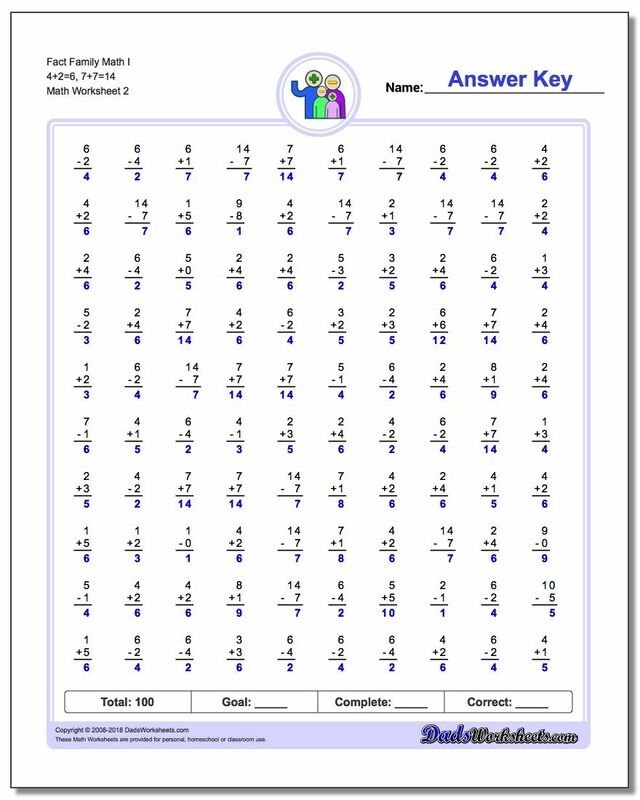 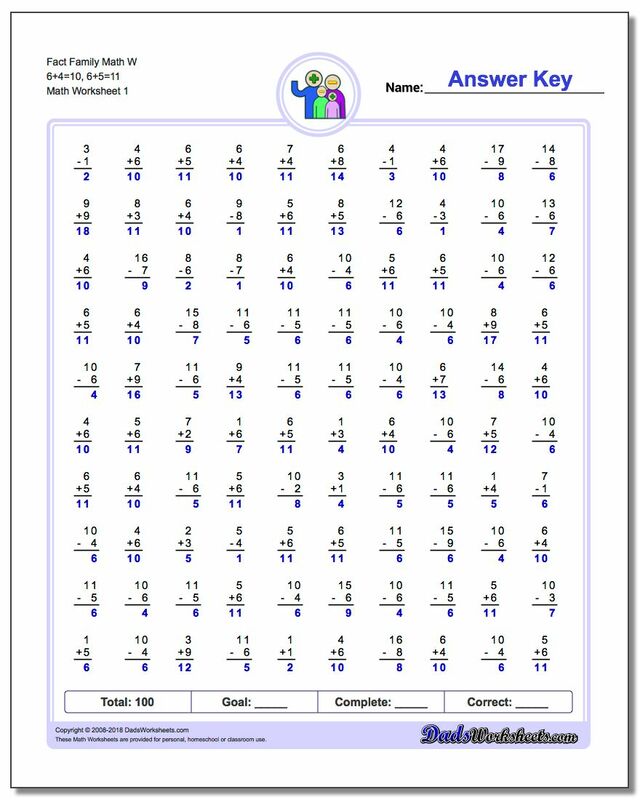 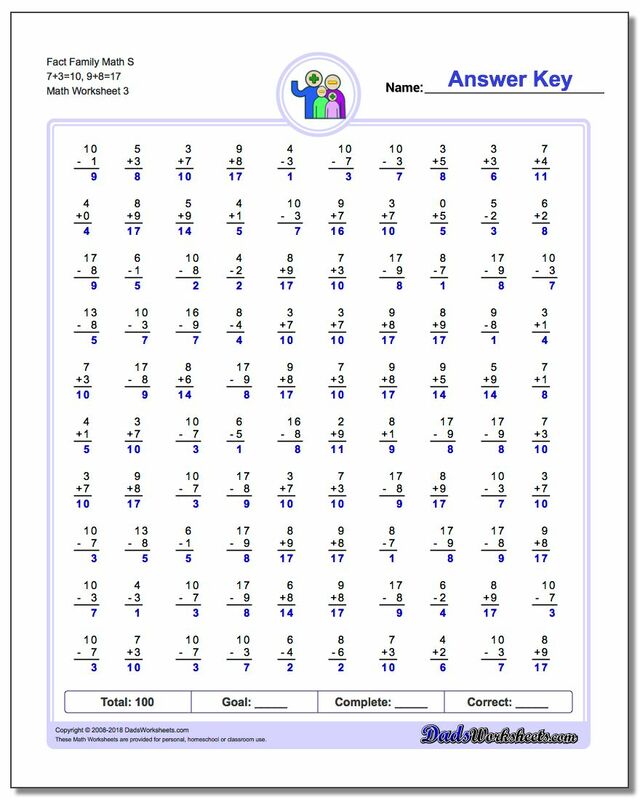 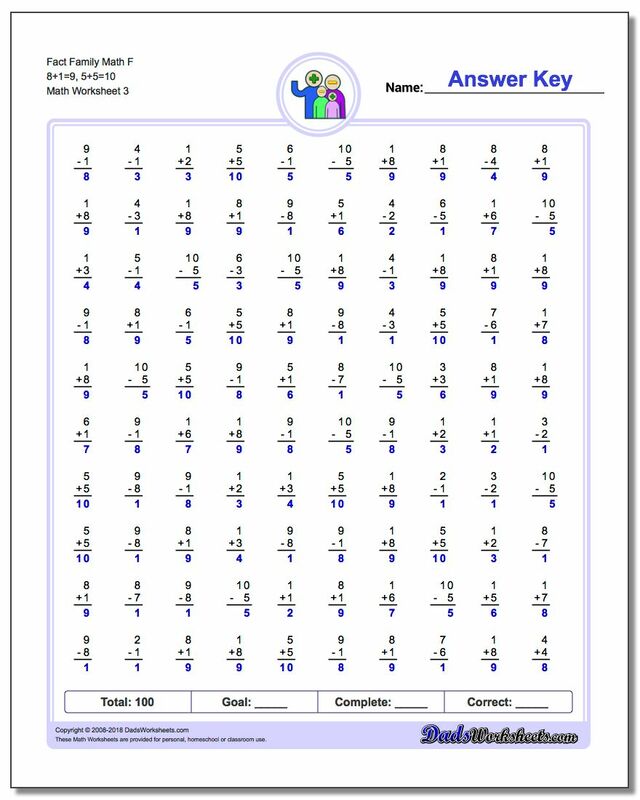 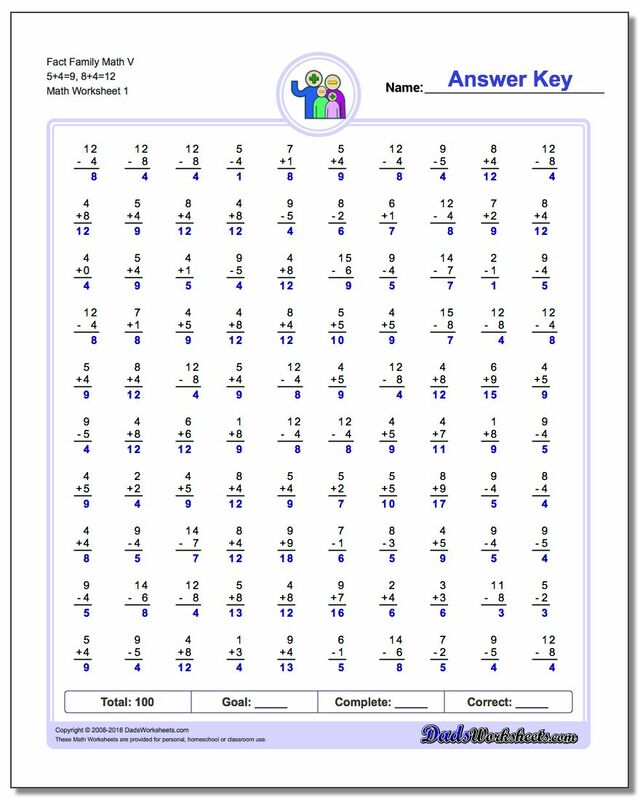 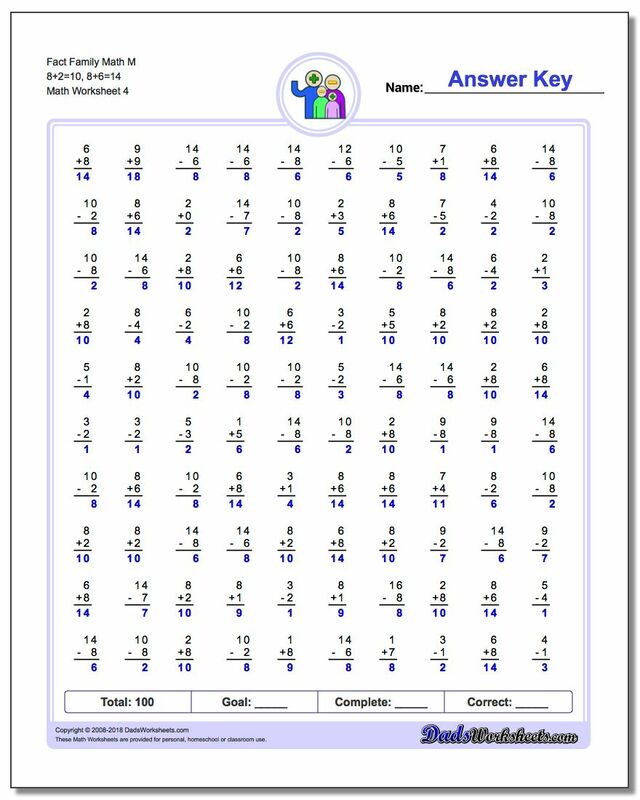 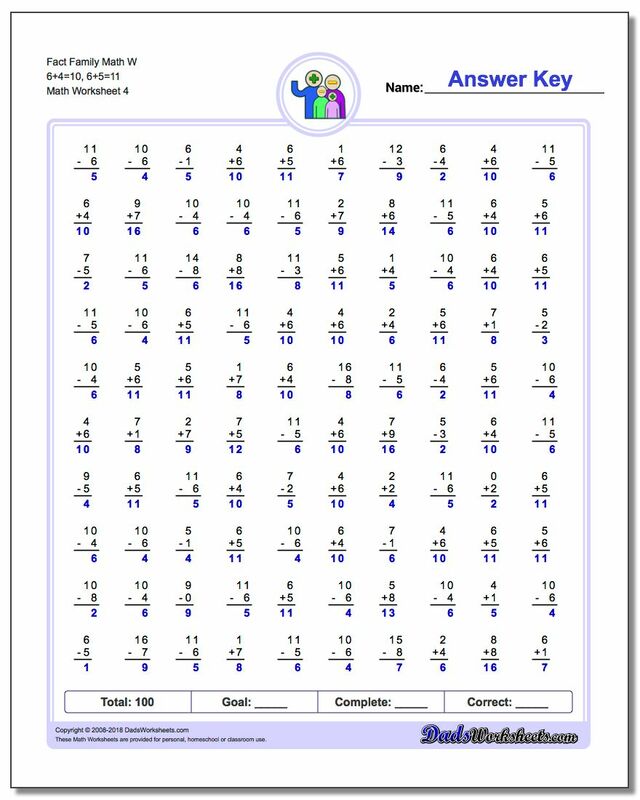 These math worksheets have 100 addition and subtraction fact family problems and make for a challenging two minute test. 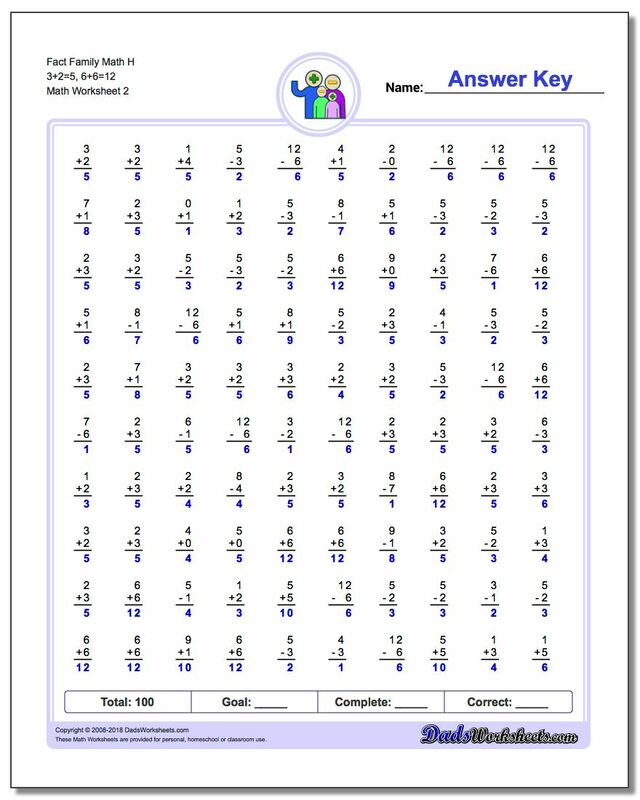 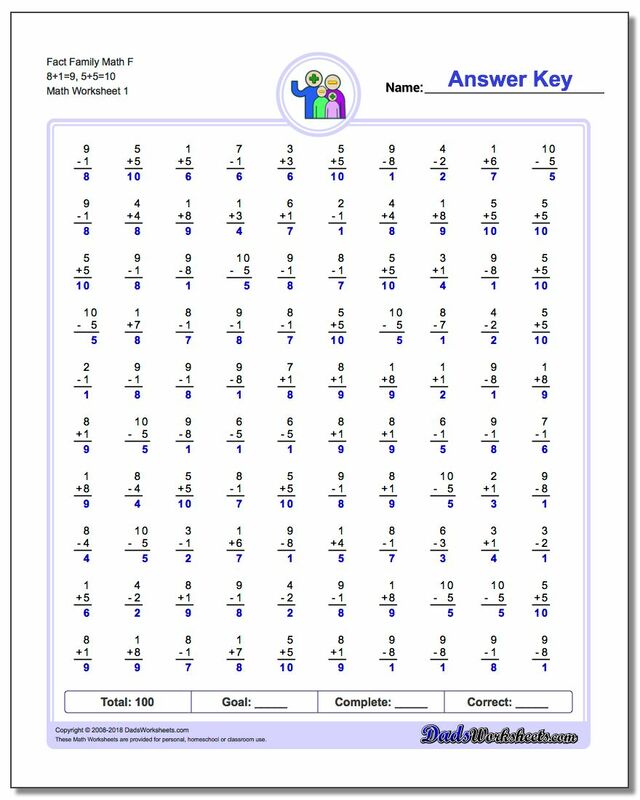 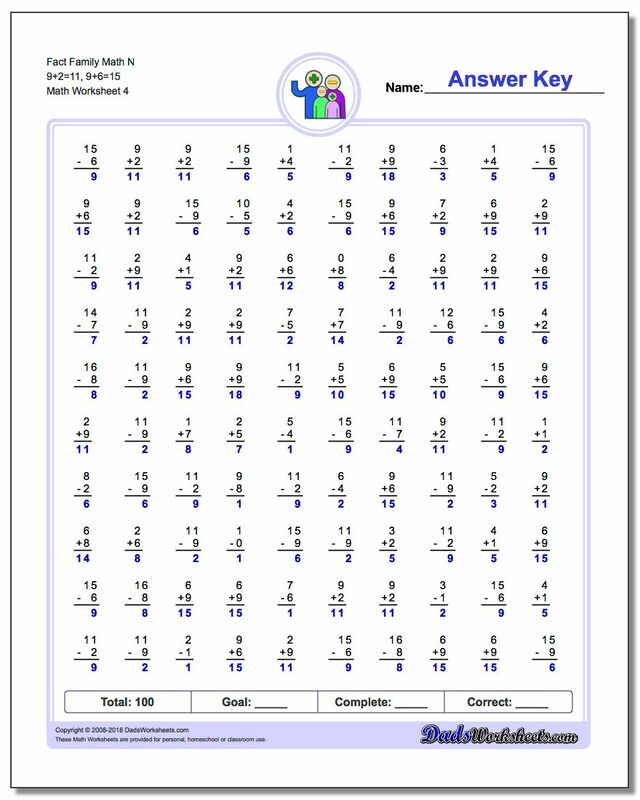 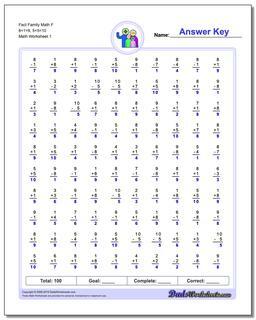 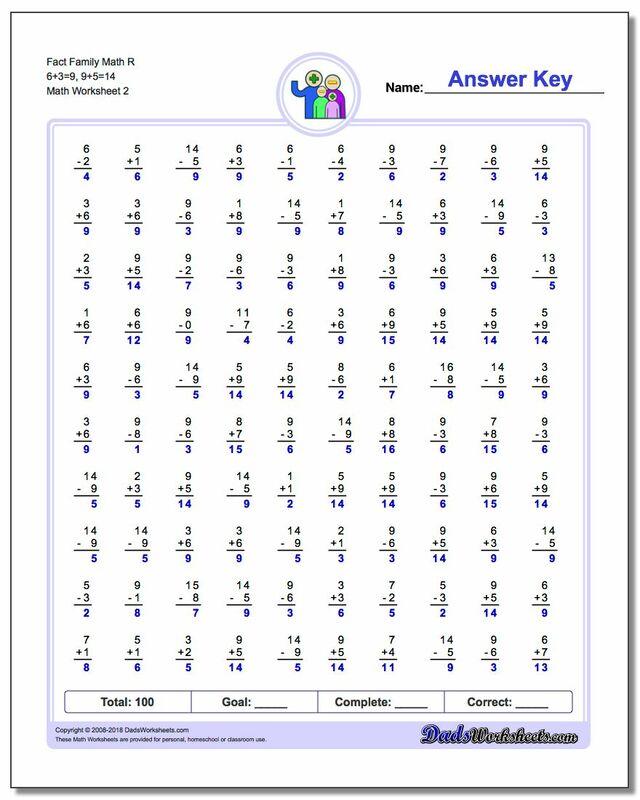 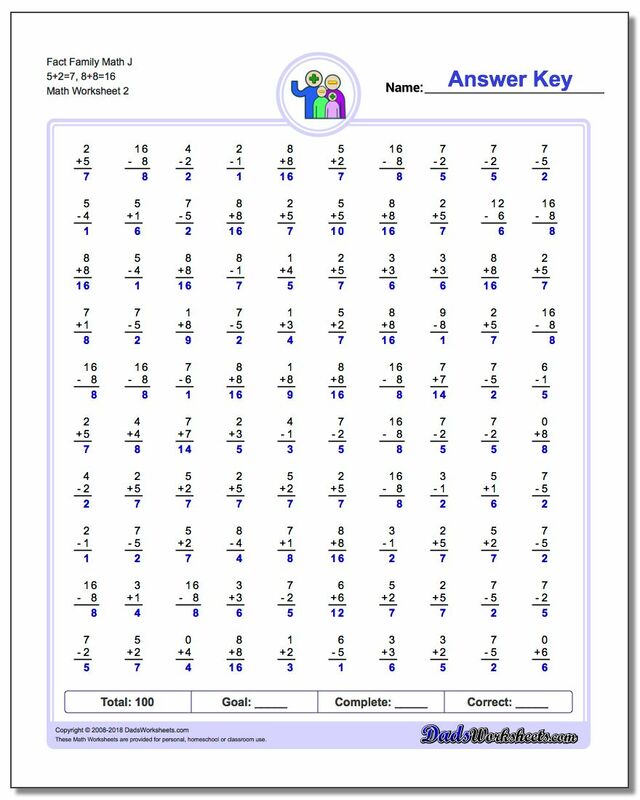 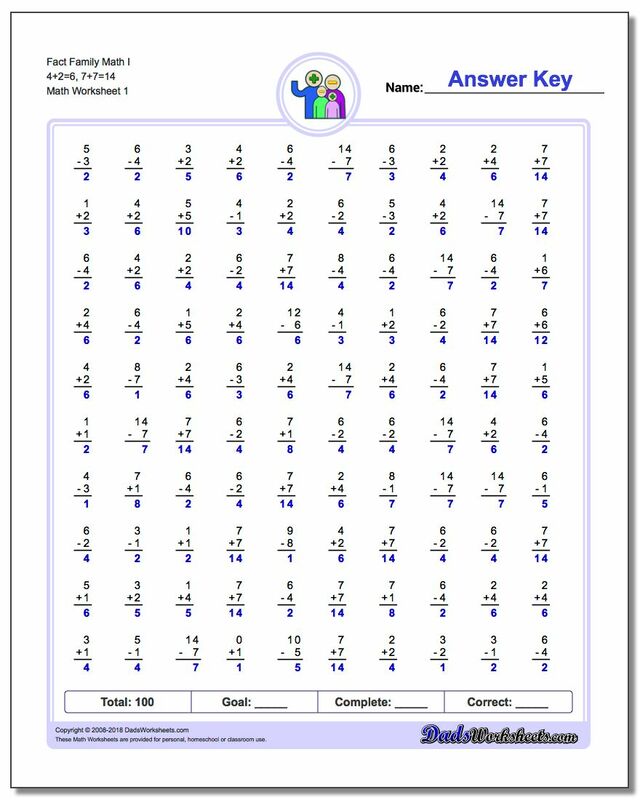 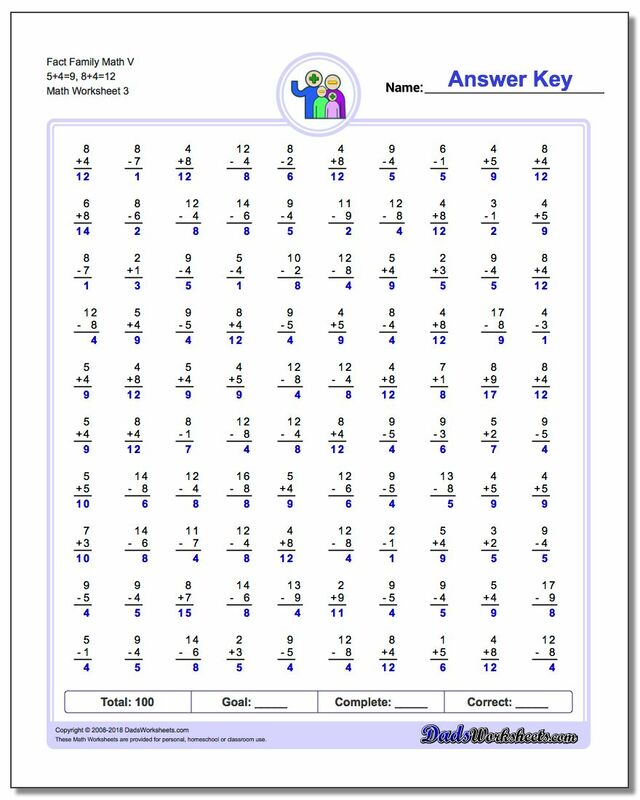 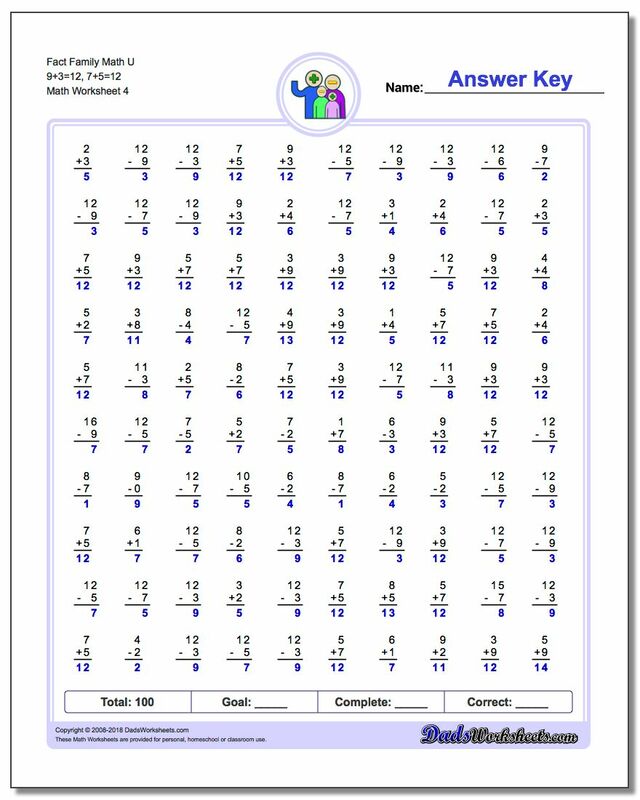 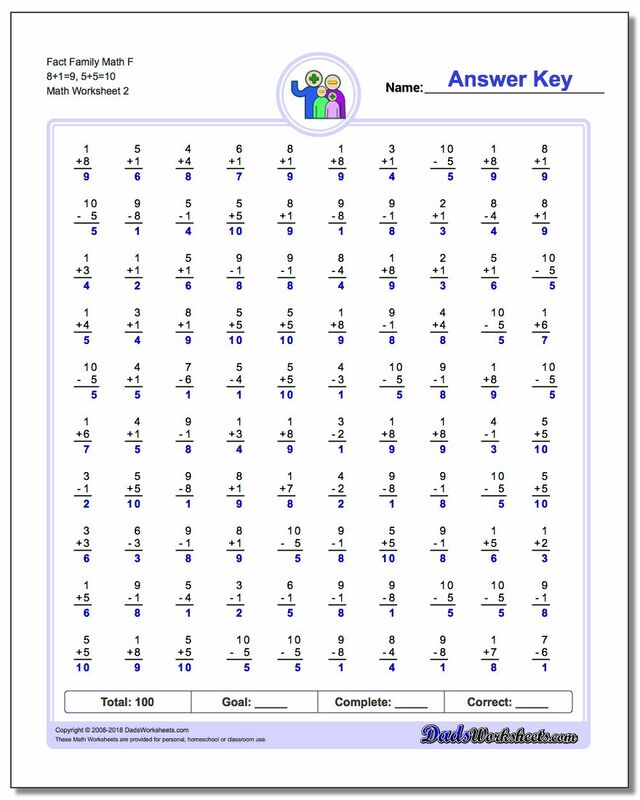 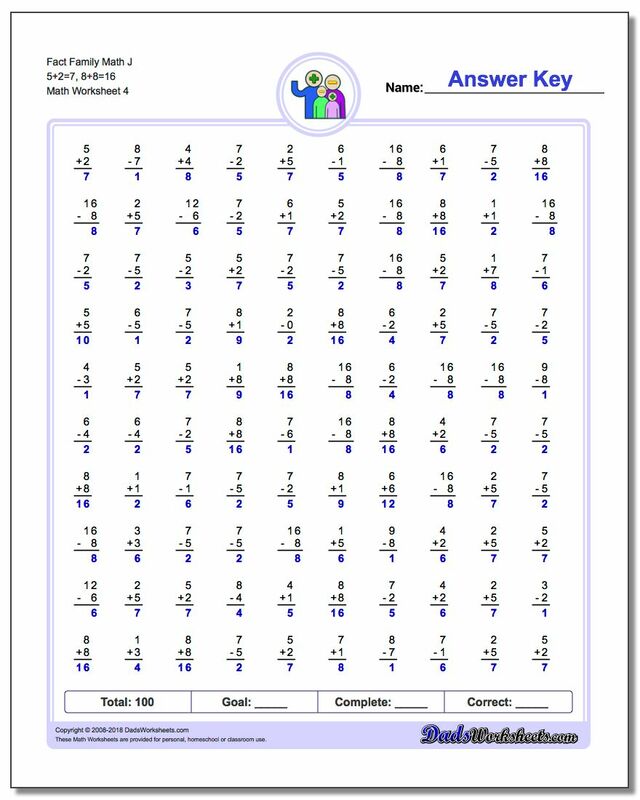 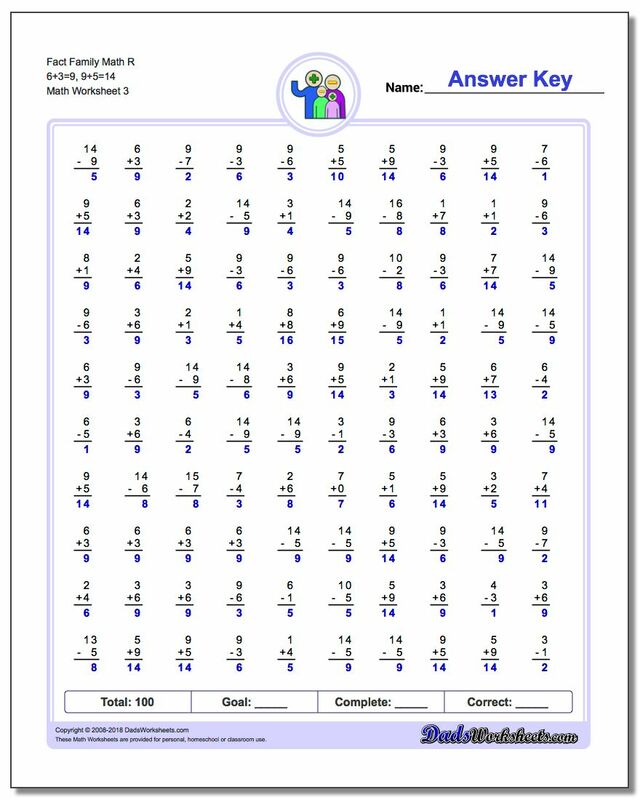 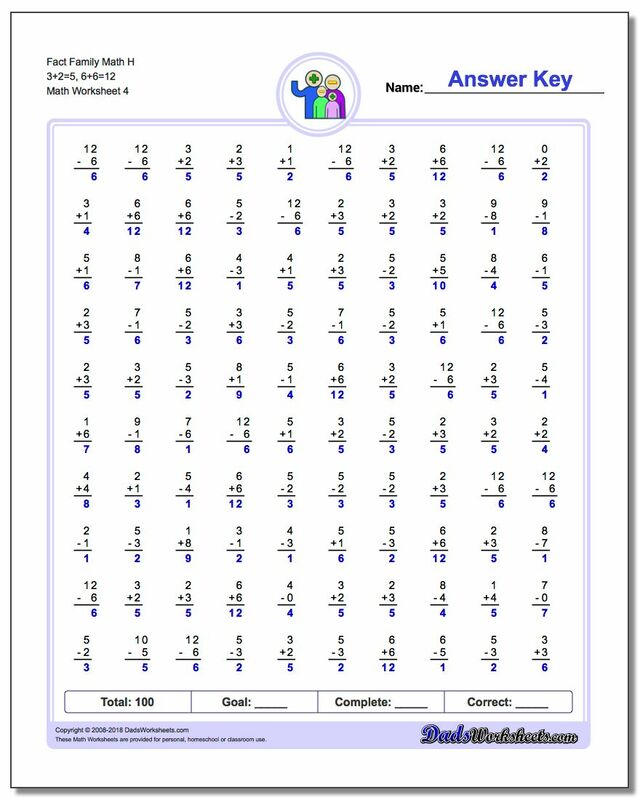 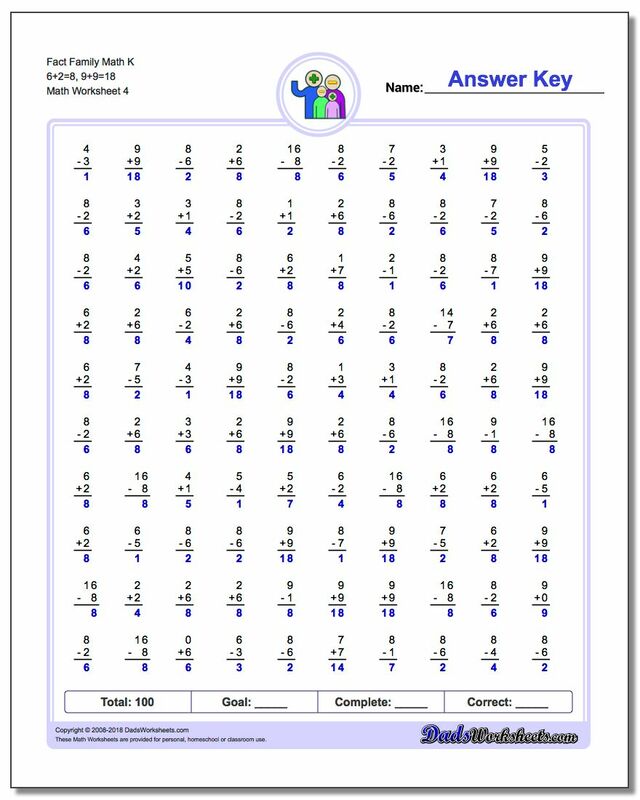 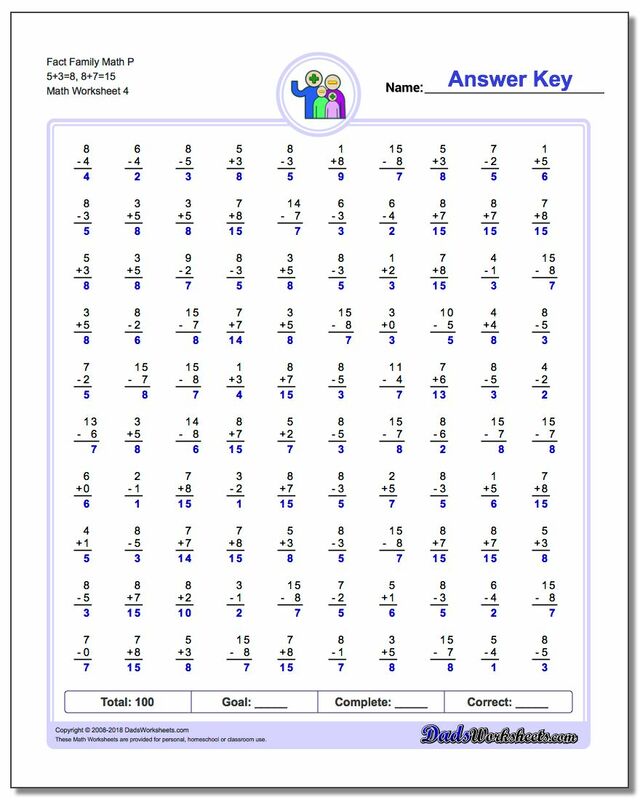 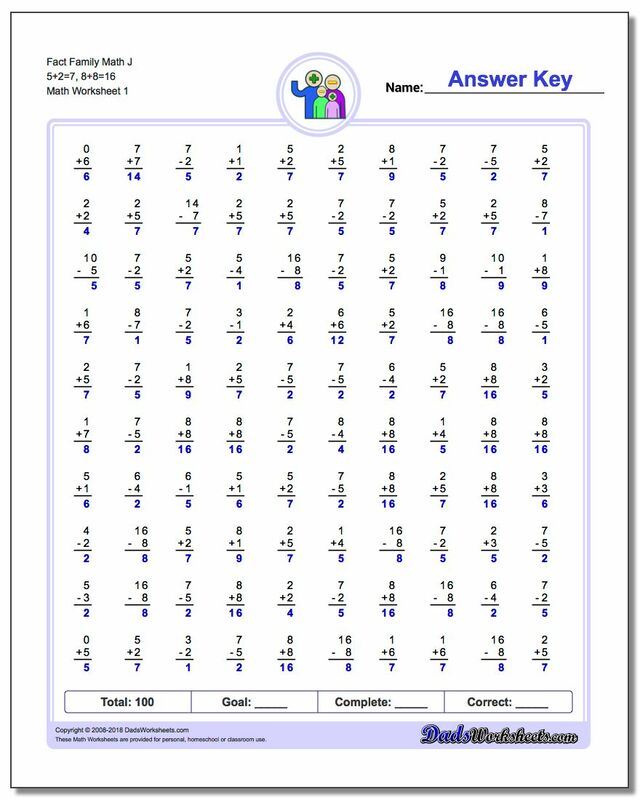 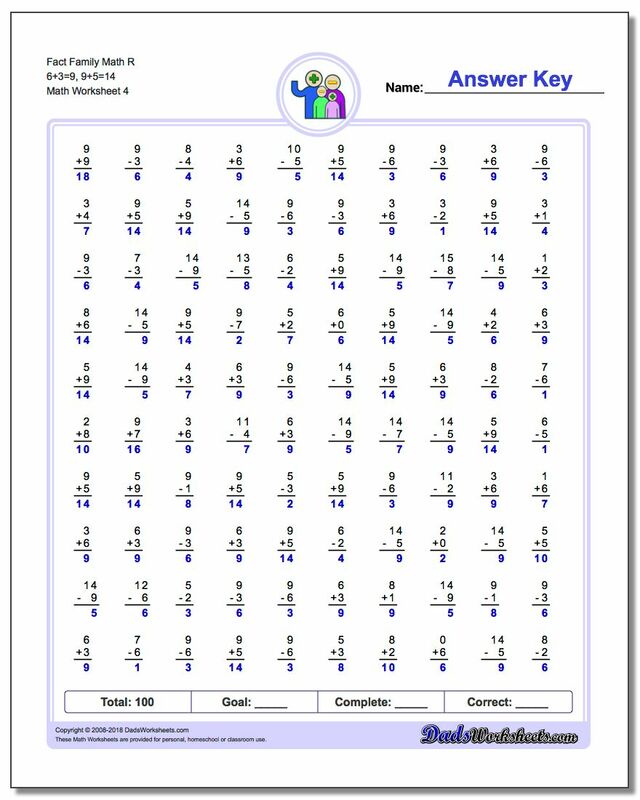 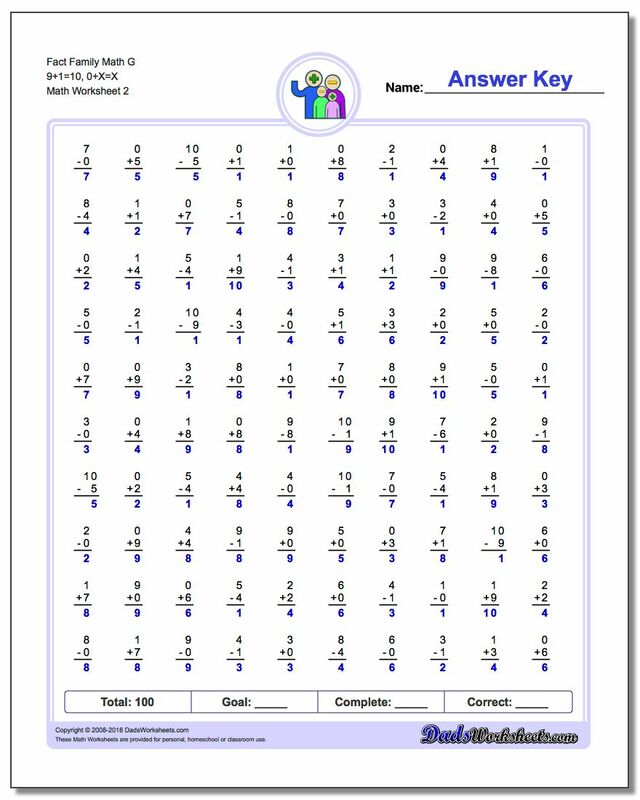 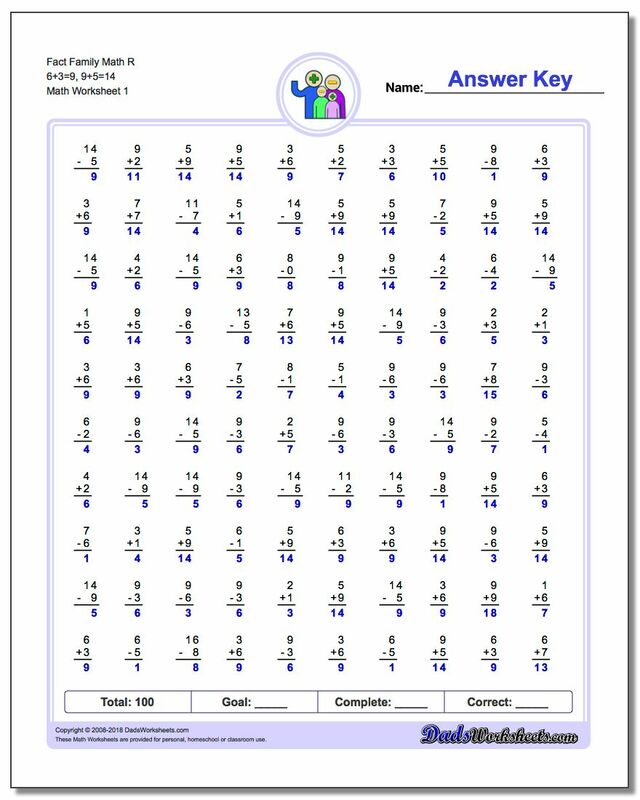 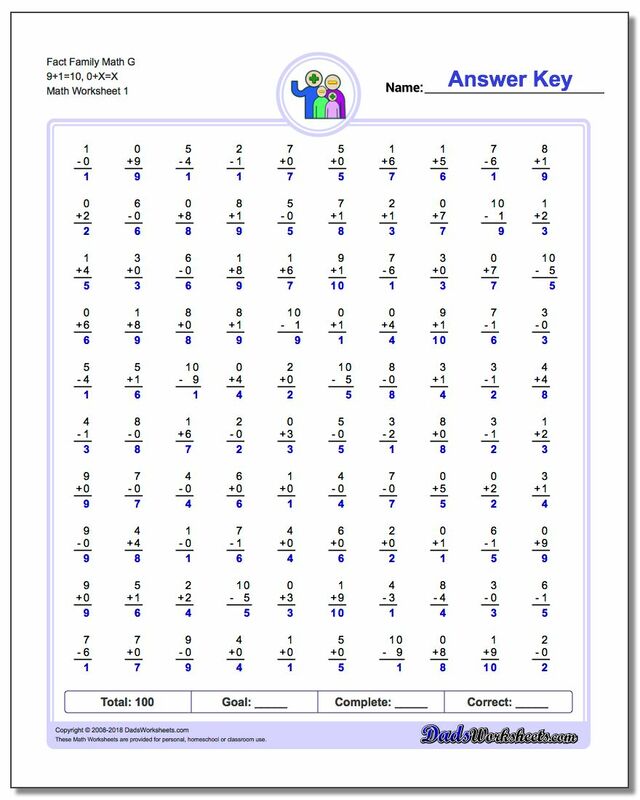 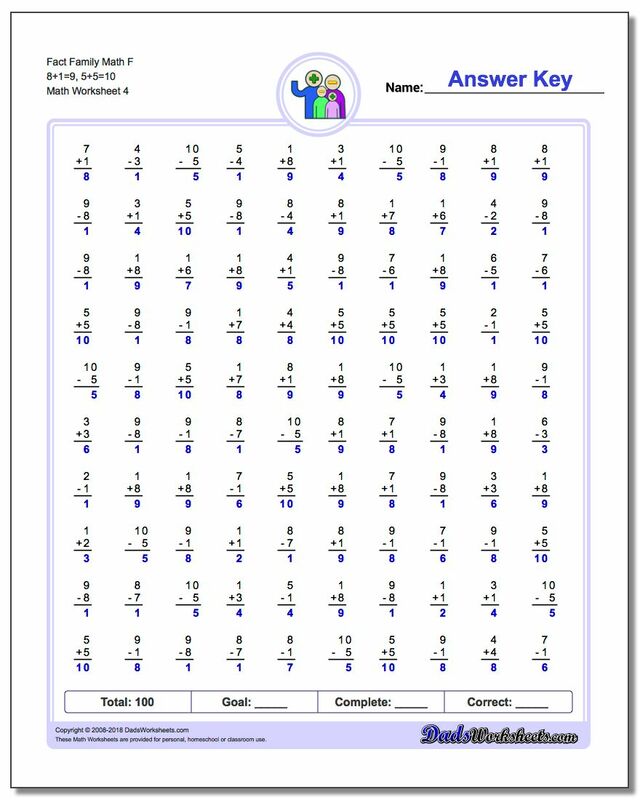 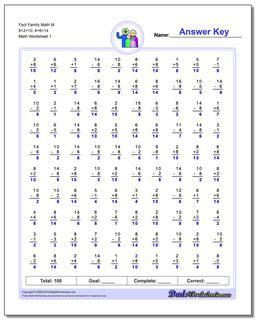 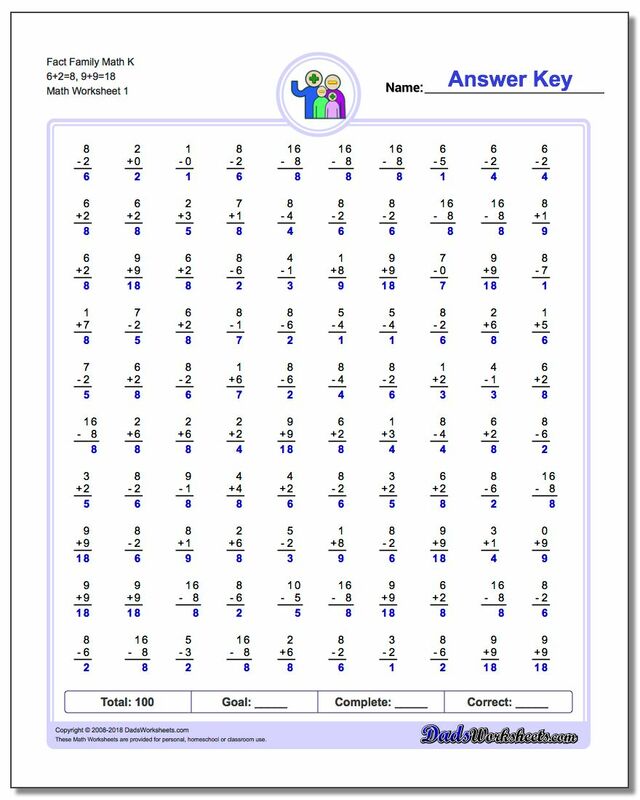 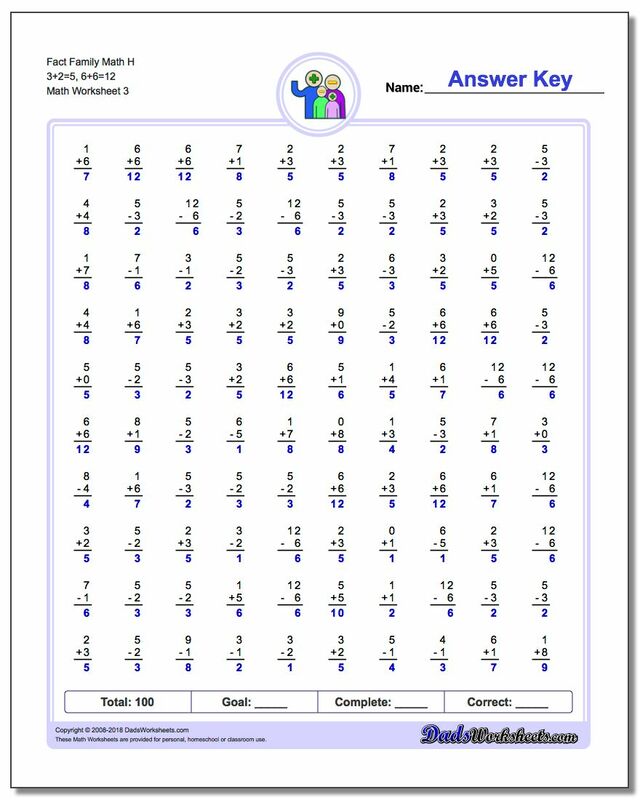 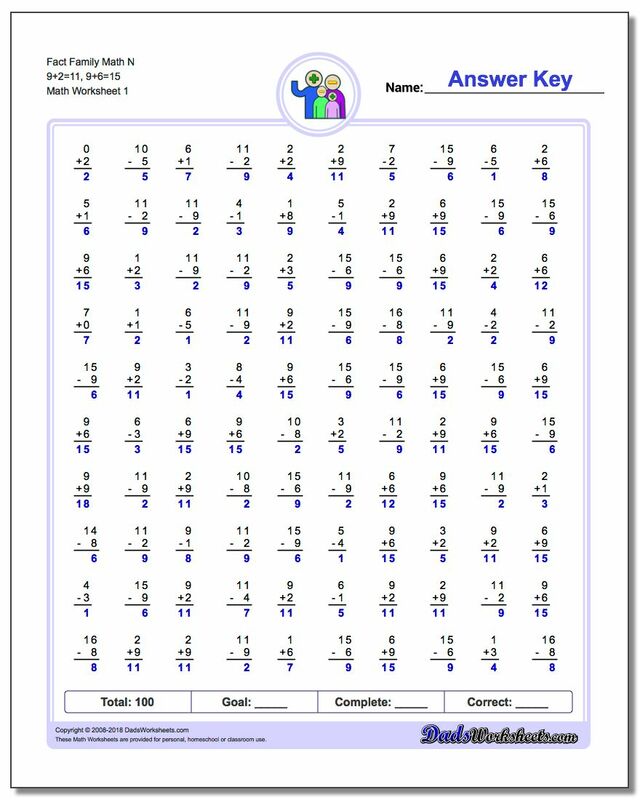 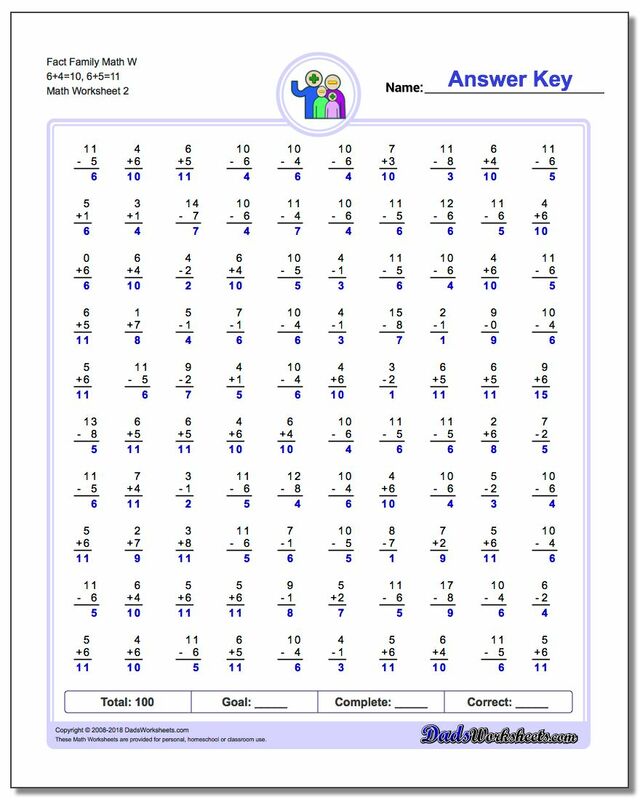 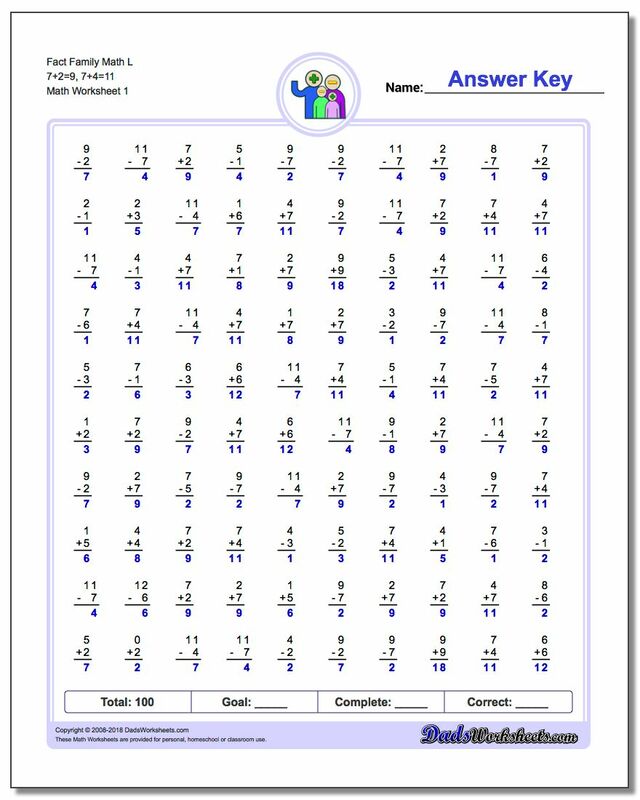 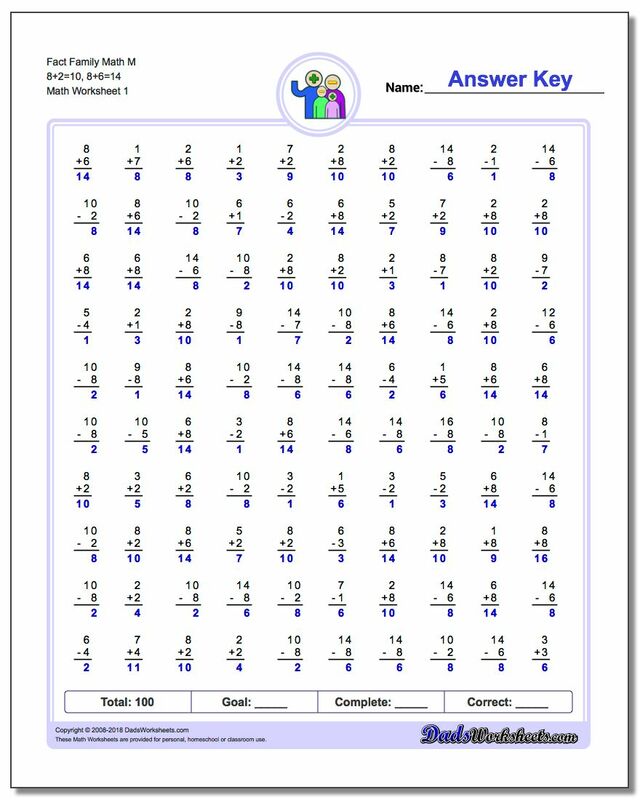 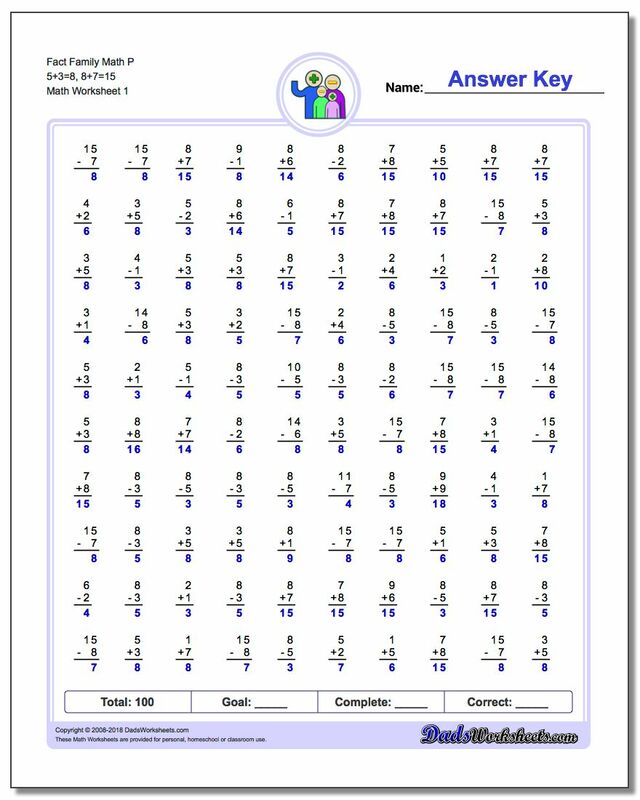 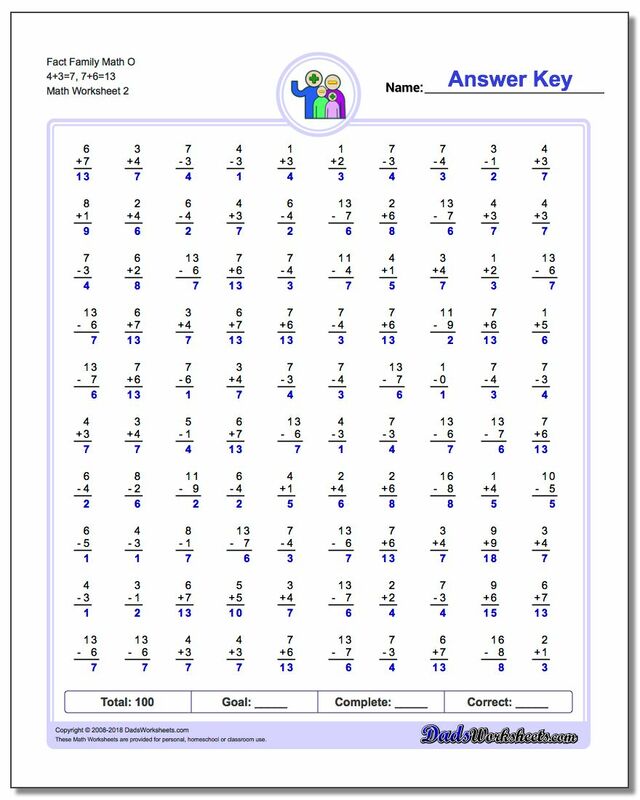 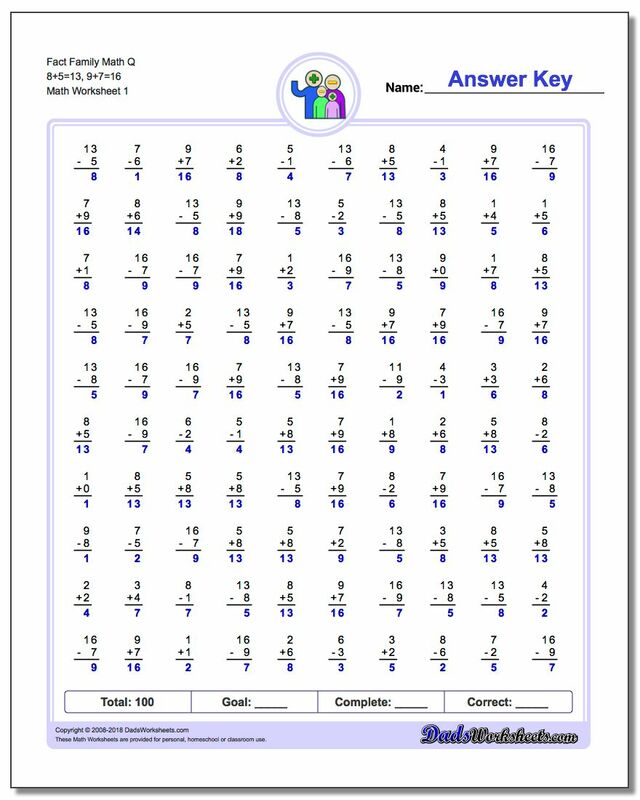 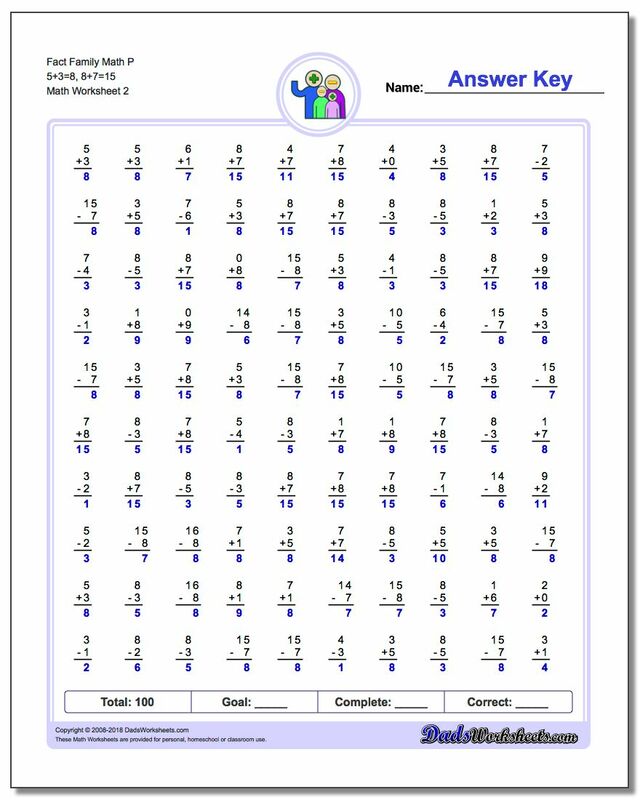 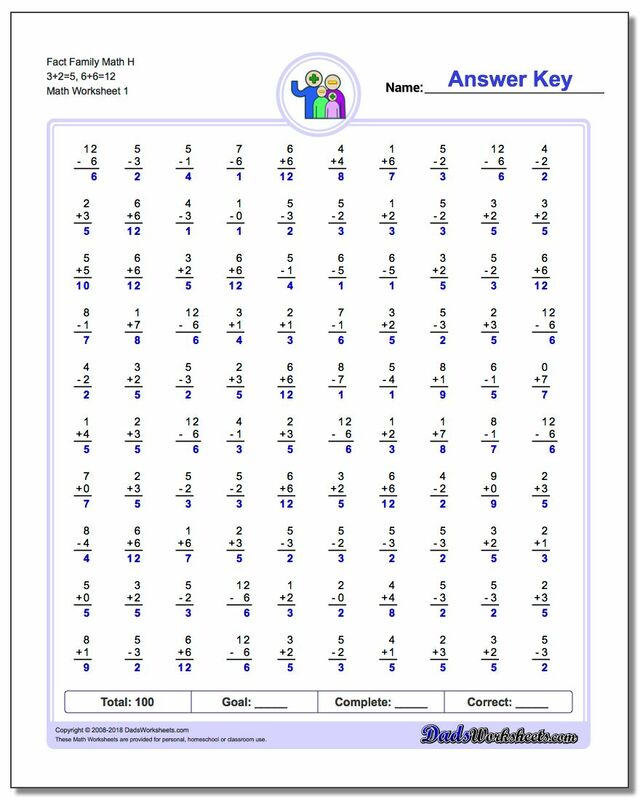 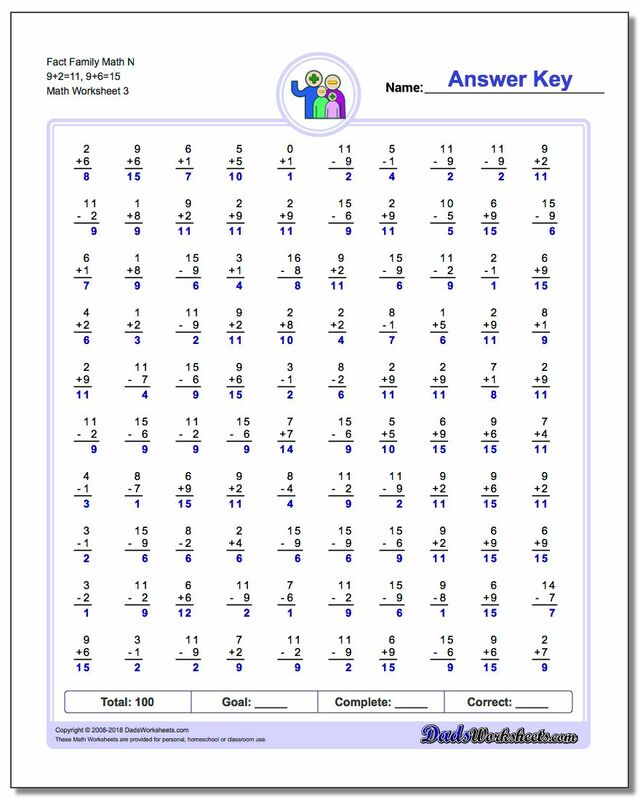 These 100 problem fact family worksheets are a great workout for addition and subtraction facts. Use them in a no-stress way to refresh fact fluency, or they are perfect for a two minute timed test. They teach how the commutative property of addition produces the same result for two different math facts, and also show how subtraction is the inverse operation of addition. Fact families teach the relationships between related math facts, and these worksheets can be a very useful review or a way to start learning math facts for both operations simulateneously.